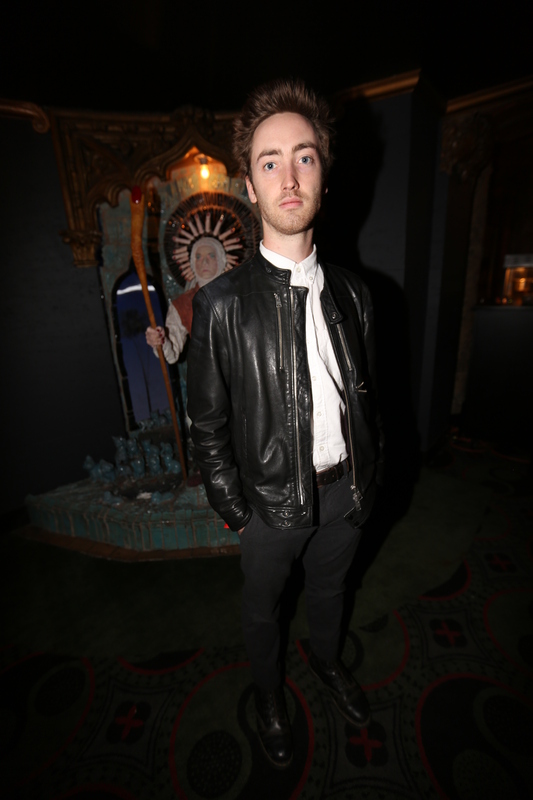 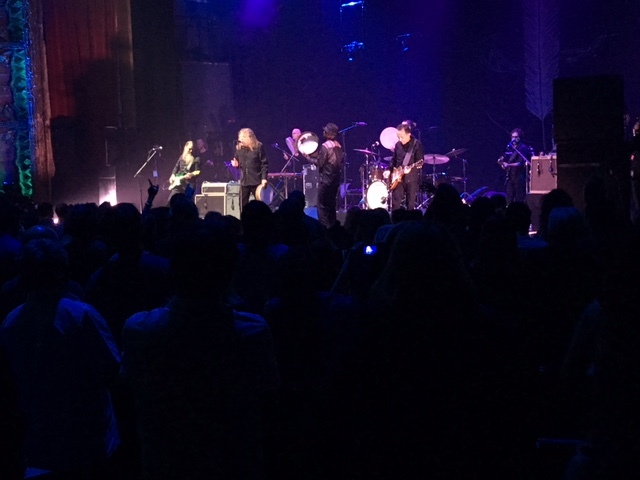 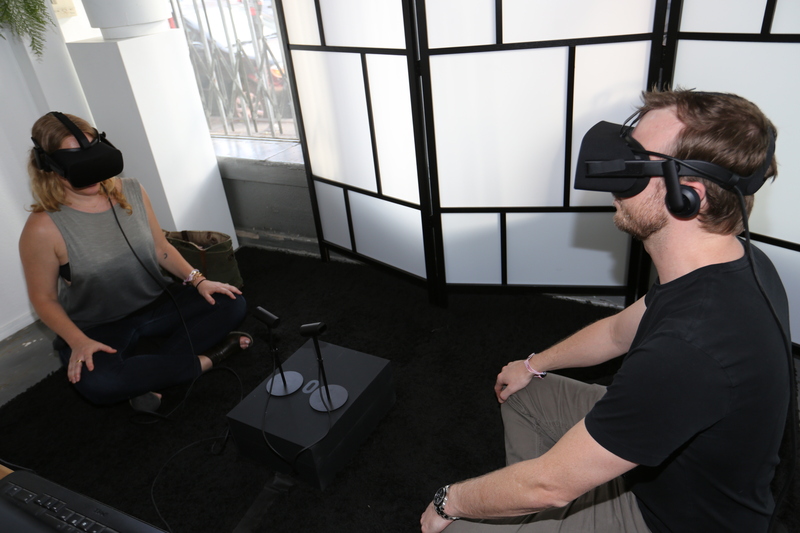 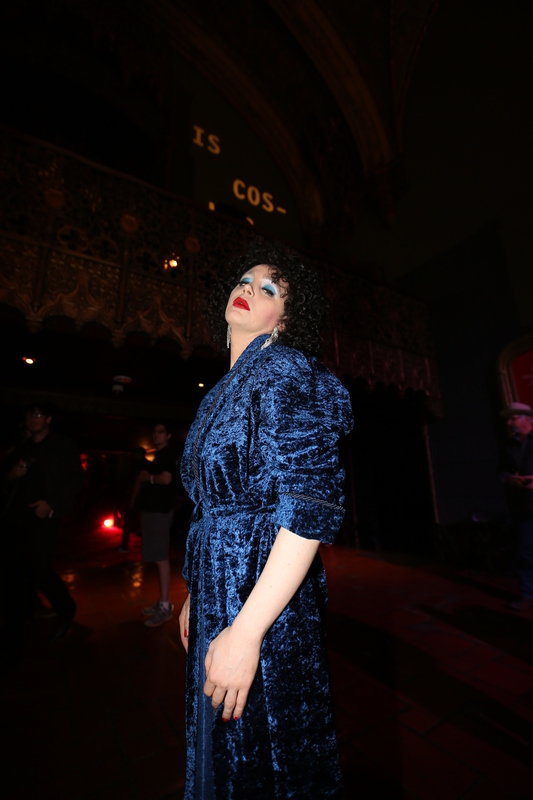 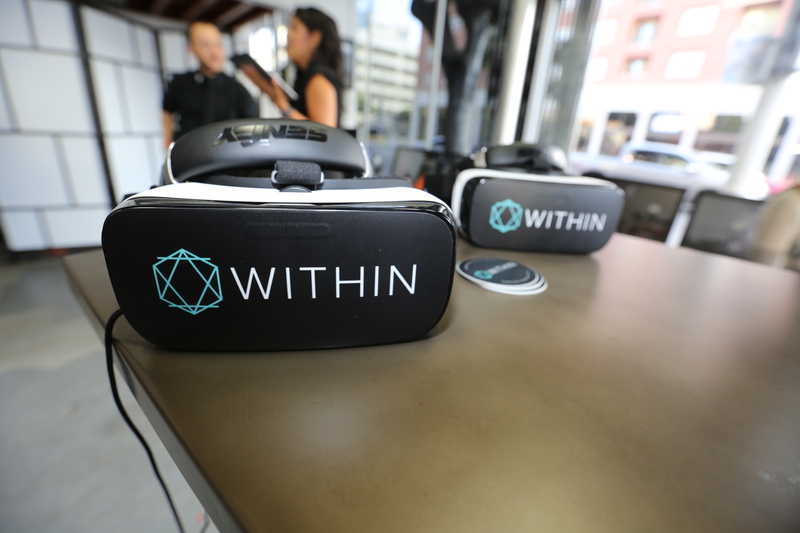 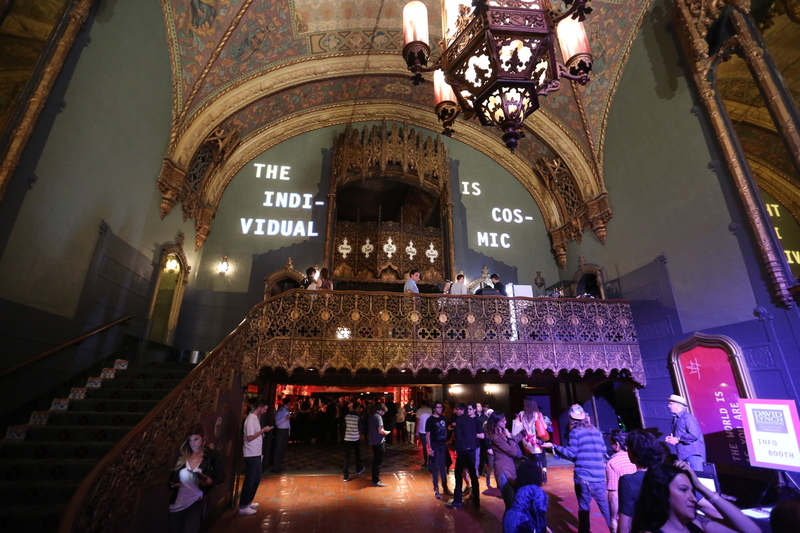 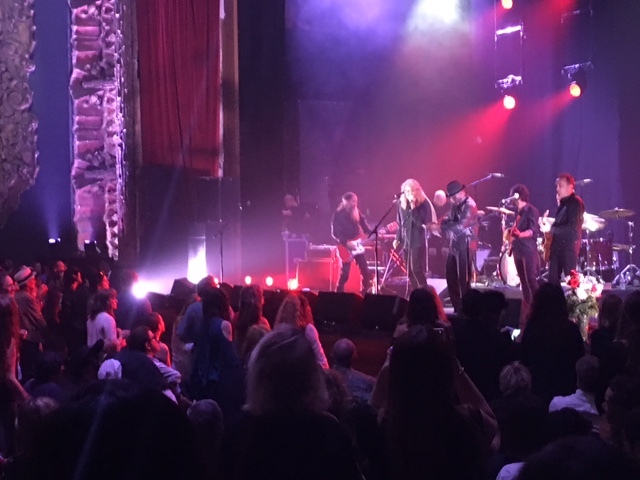 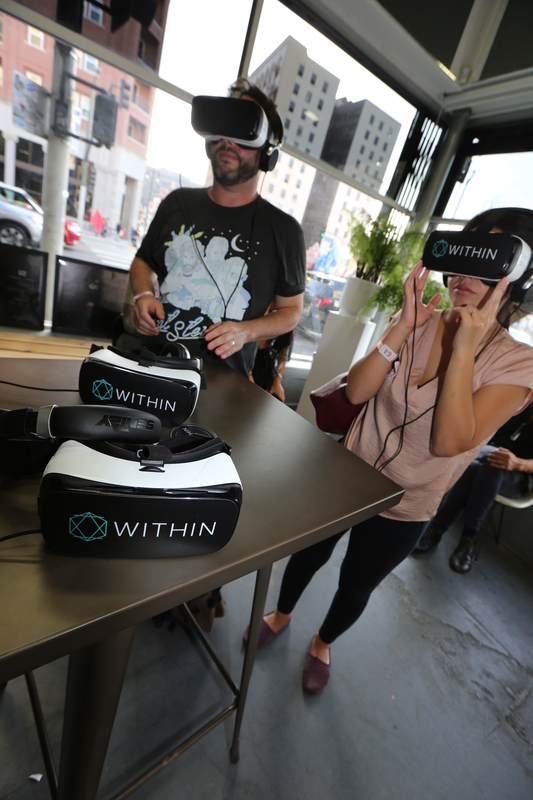 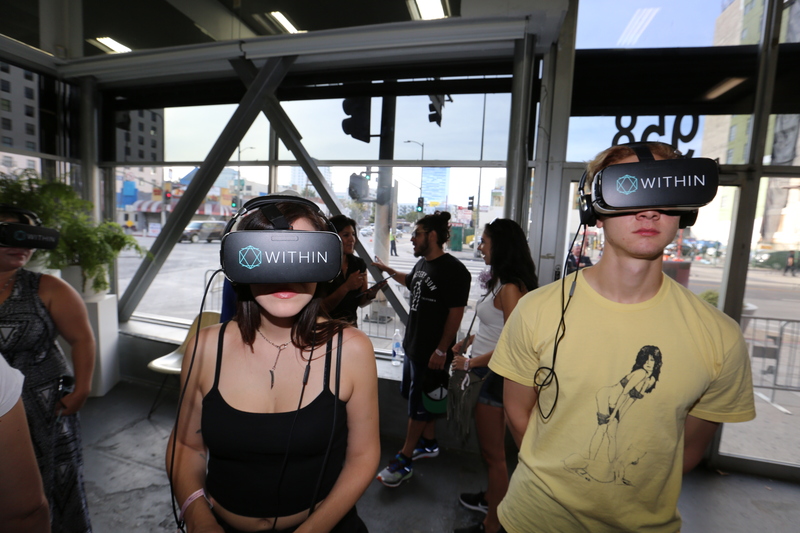 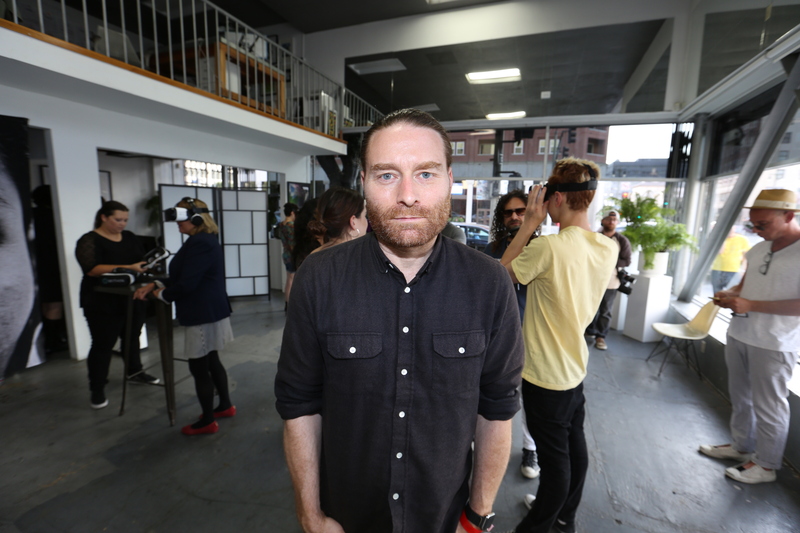 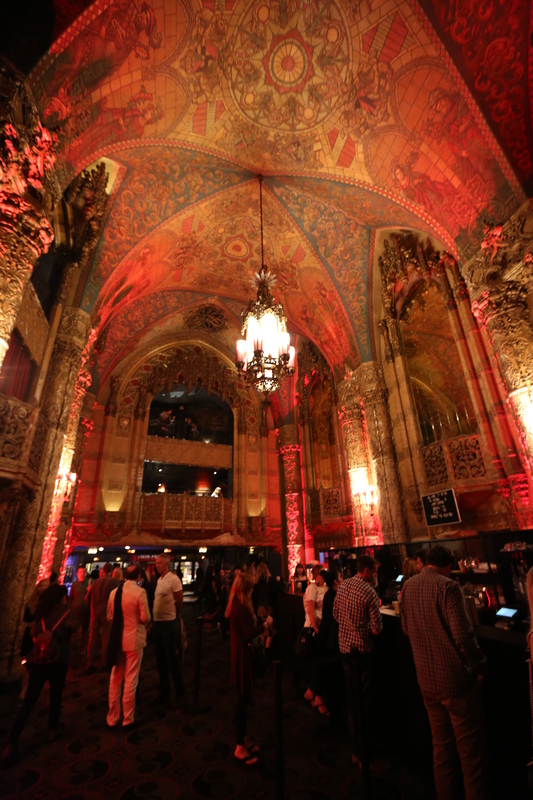 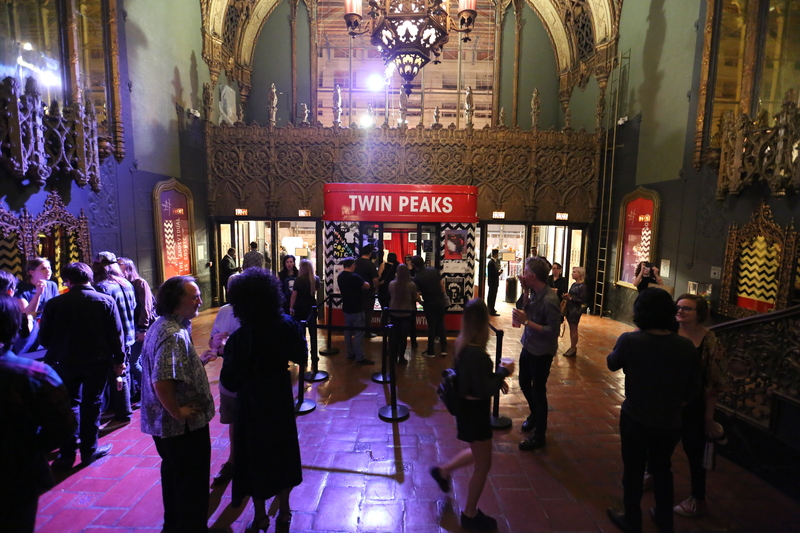 On October 8th and 9th the David Lynch Foundation transformed the Ace Hotel and Theatre in Downtown Los Angeles into an immersive world of music, film, visual and performing arts and virtual reality for the first ever Festival of Disruption. 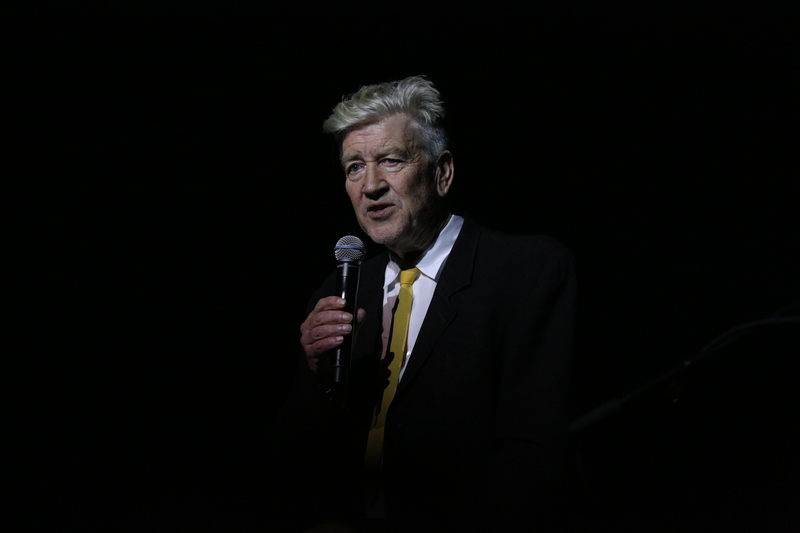 The Music of Twin Peaks: by Angelo Badalamenti, Sky Ferreira, Xiu Xiu, Chrysta Bell & Rebekah Del Rio. 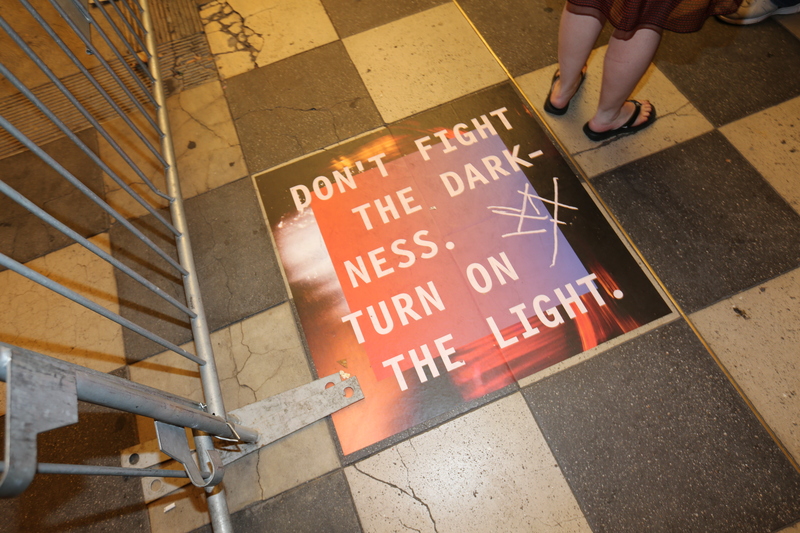 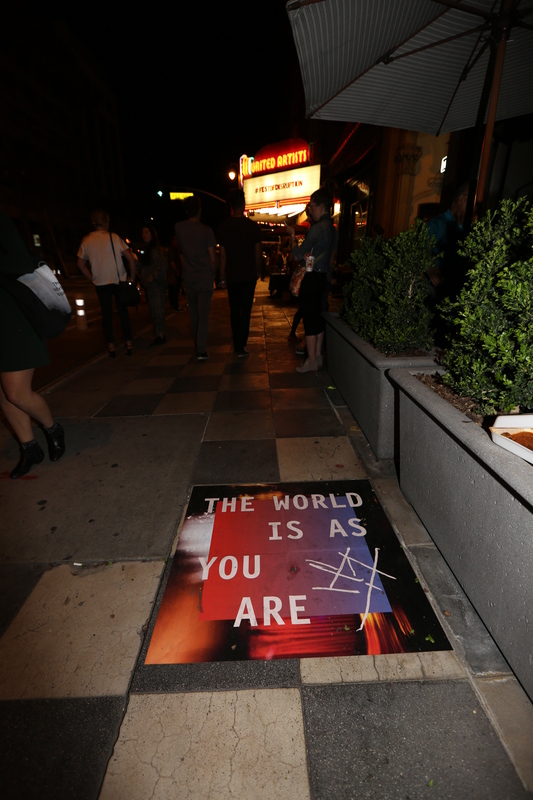 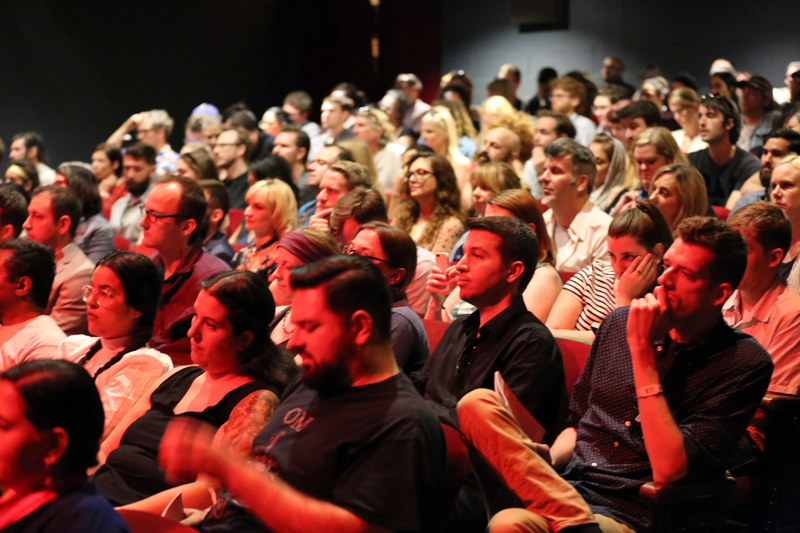 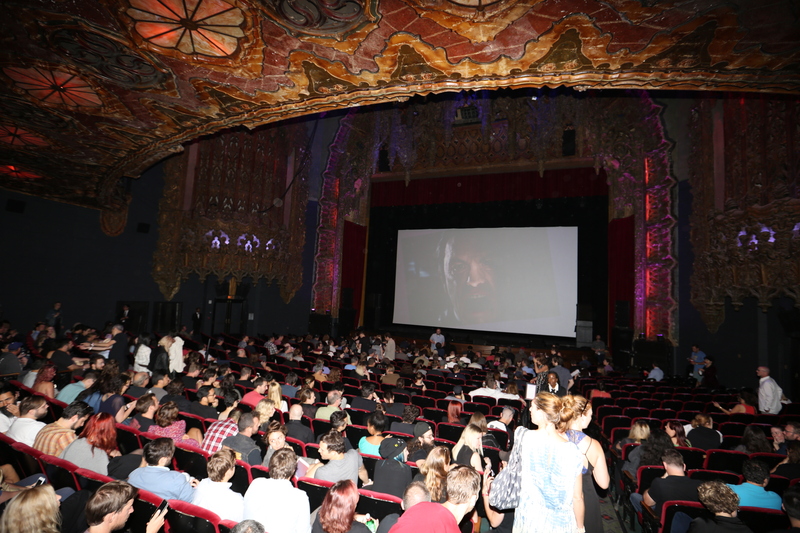 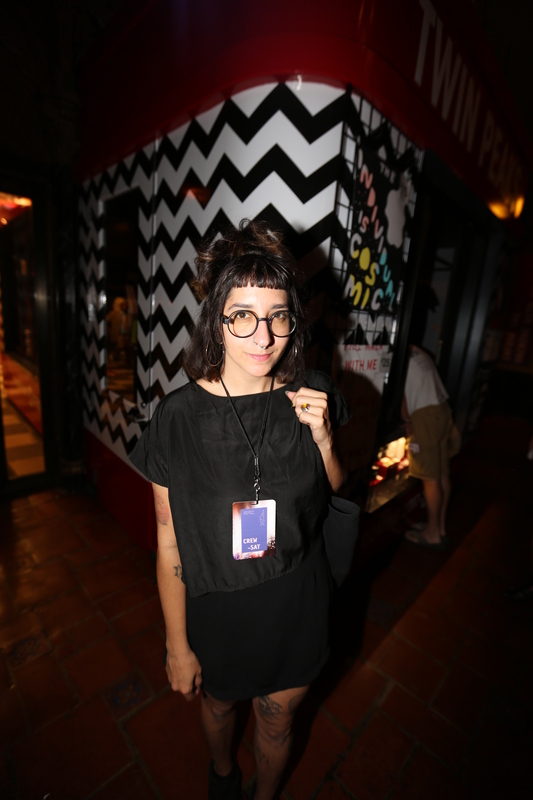 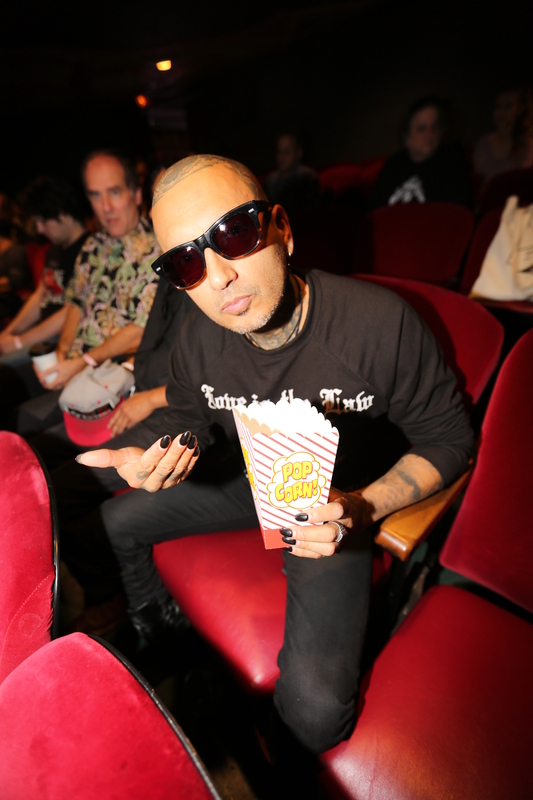 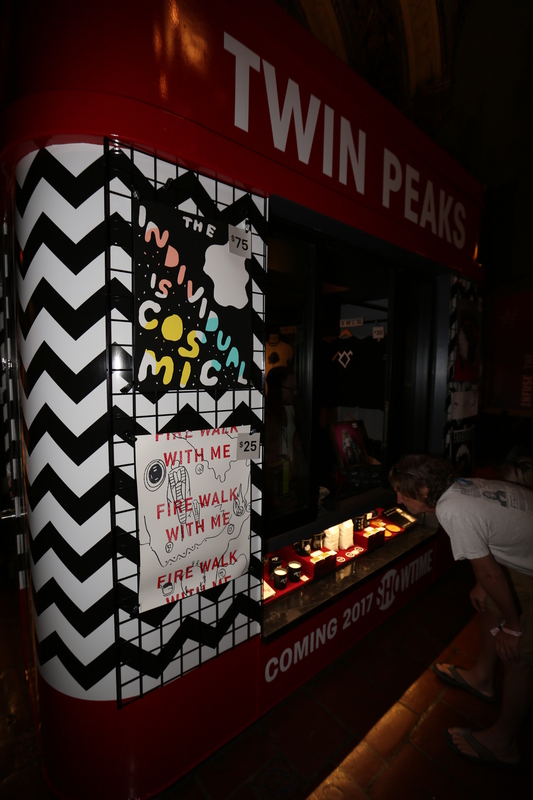 Attendees were lured into the world of the David Lynch-curated Festival before they even stepped foot in the Theatre — from the iconic David Lynch quotes displayed on nearby sidewalks and billboards, to the Twin Peaks zig zag-patterned Theatre kiosk, which hosted a SHOWTIME pop-up store selling limited edition custom Twin Peaks merchandise including mugs, t-shirts, posters and more, some of which are also available exclusively on the Ace Hotel Shop. 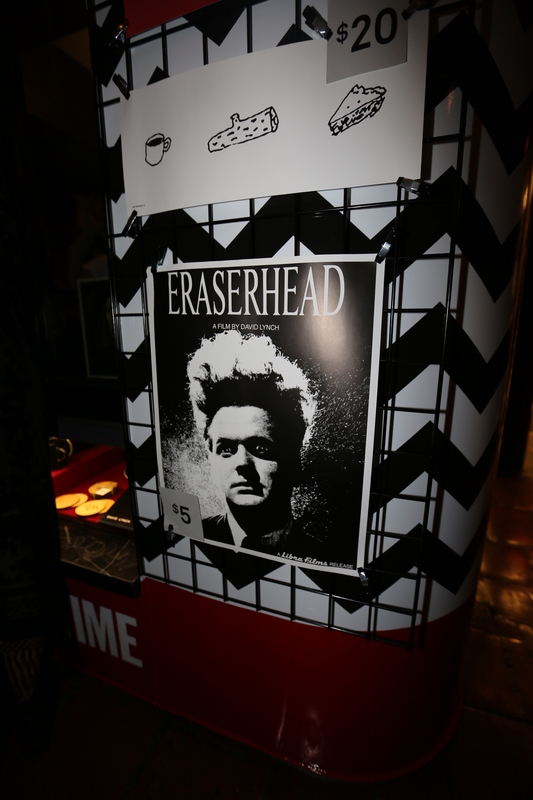 The hotel restaurant also had a special menu of Lynch-themed entrees and cocktails. 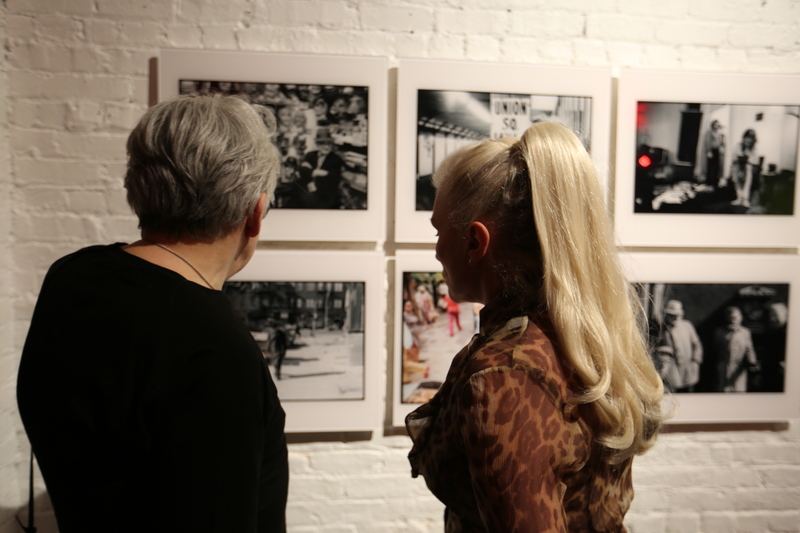 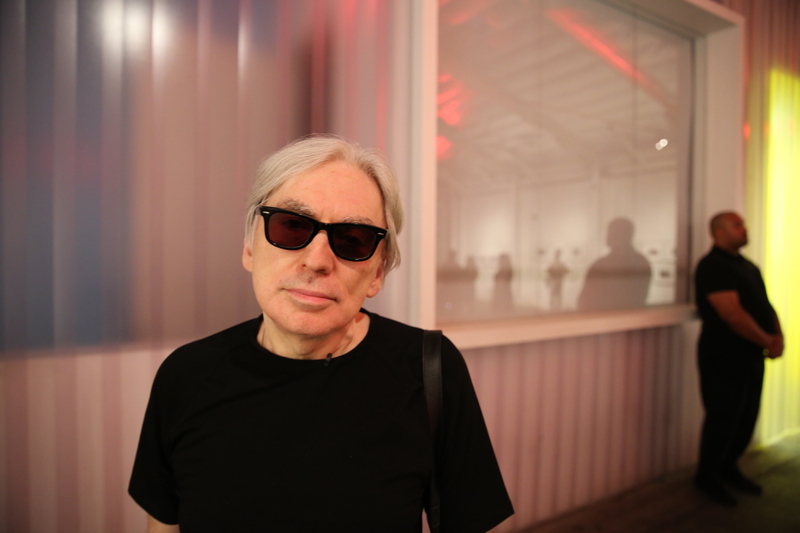 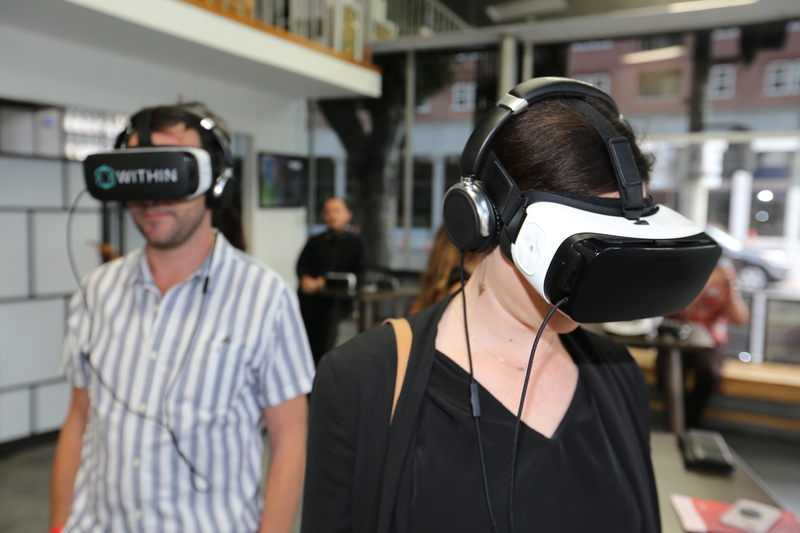 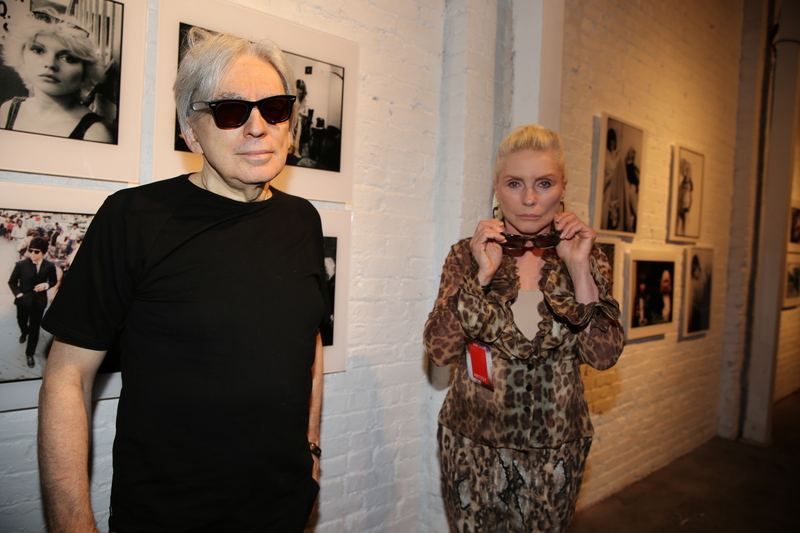 During the day, visitors explored otherworldly exhibits of Chris Stein‘s photos from 1970s New York, Chris Milk‘s pioneering virtual reality experiences and photography and rare shorts by David Lynch. 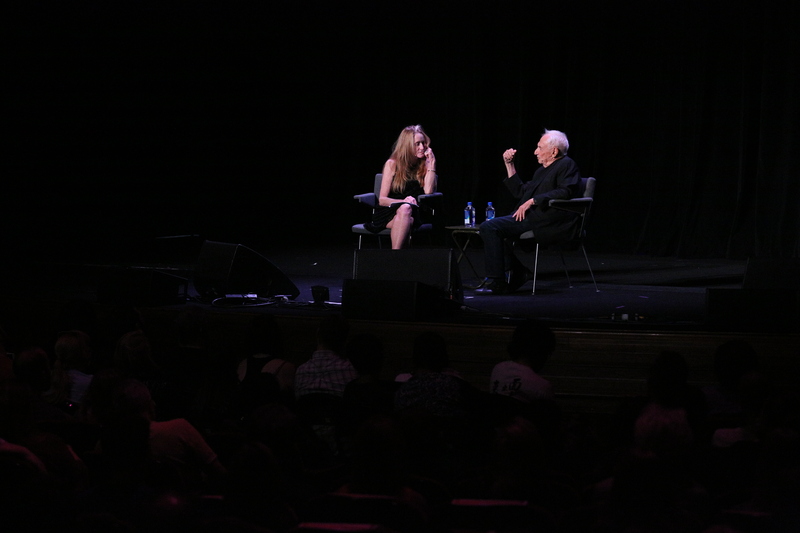 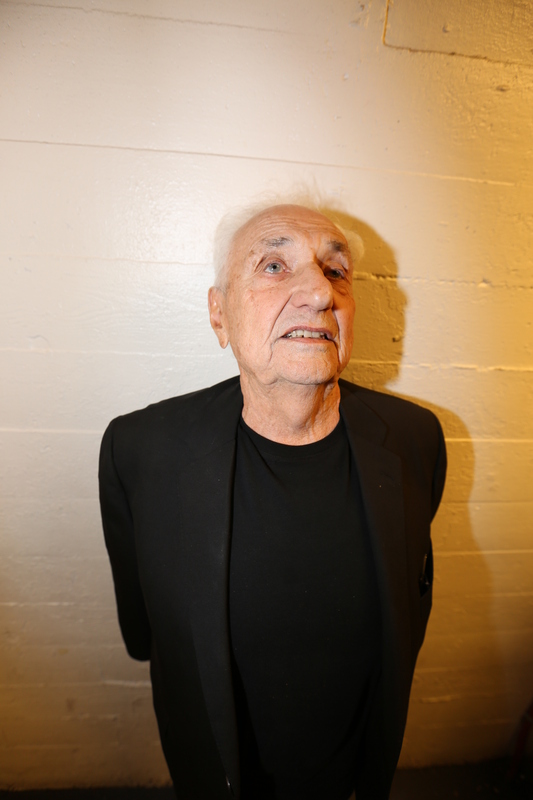 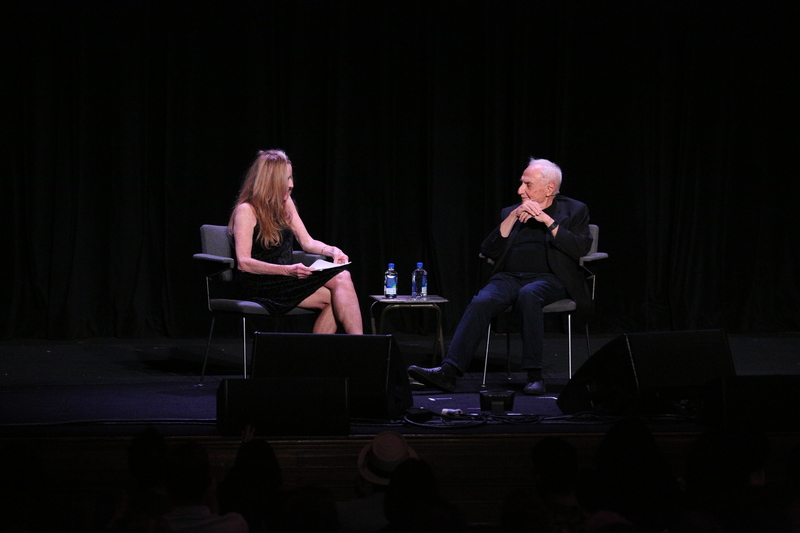 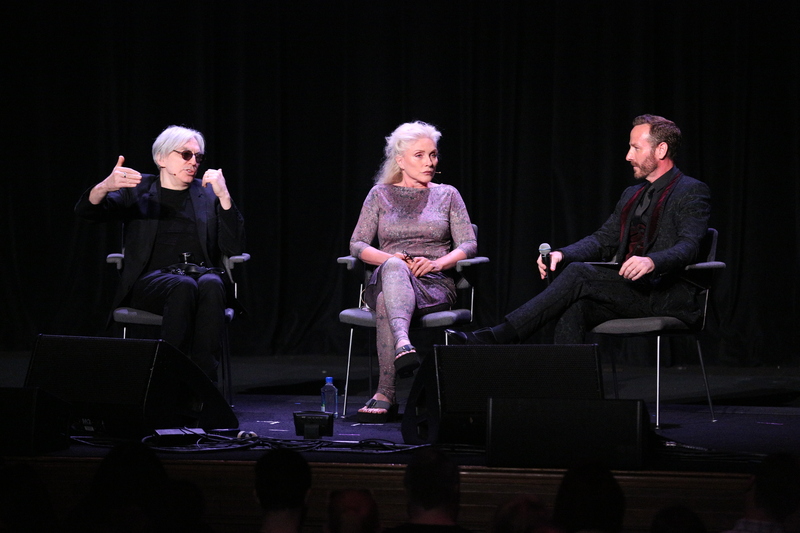 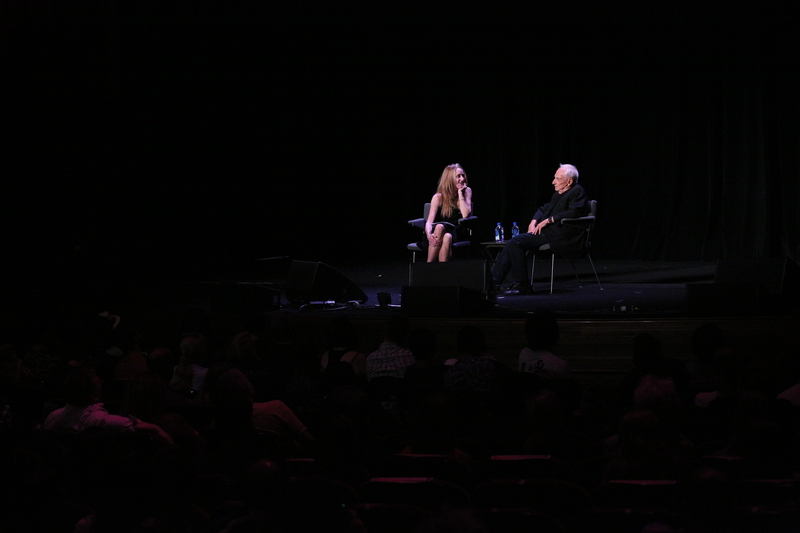 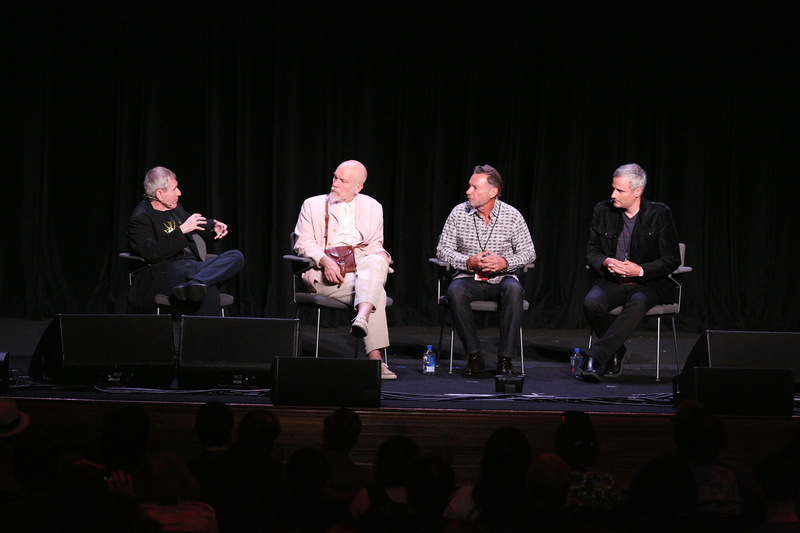 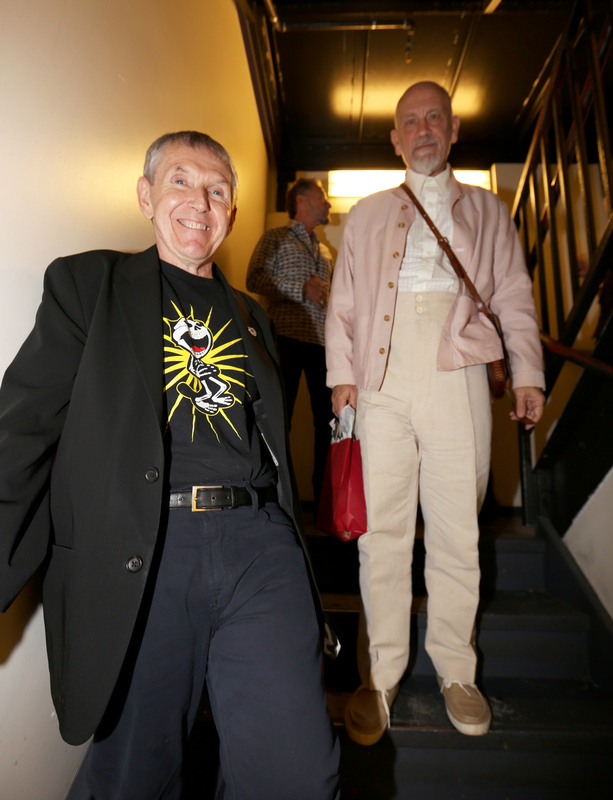 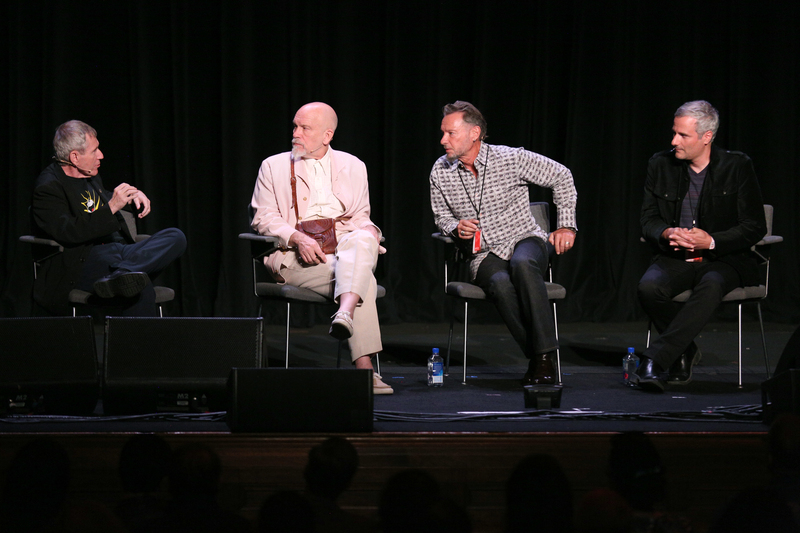 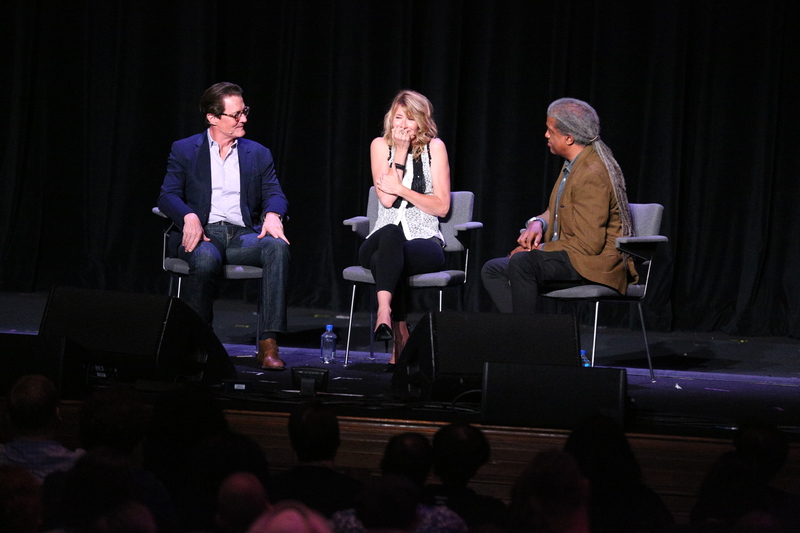 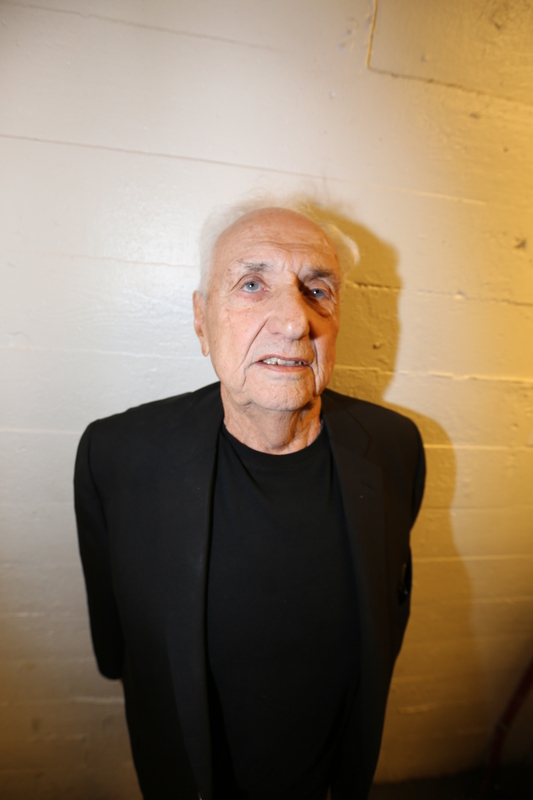 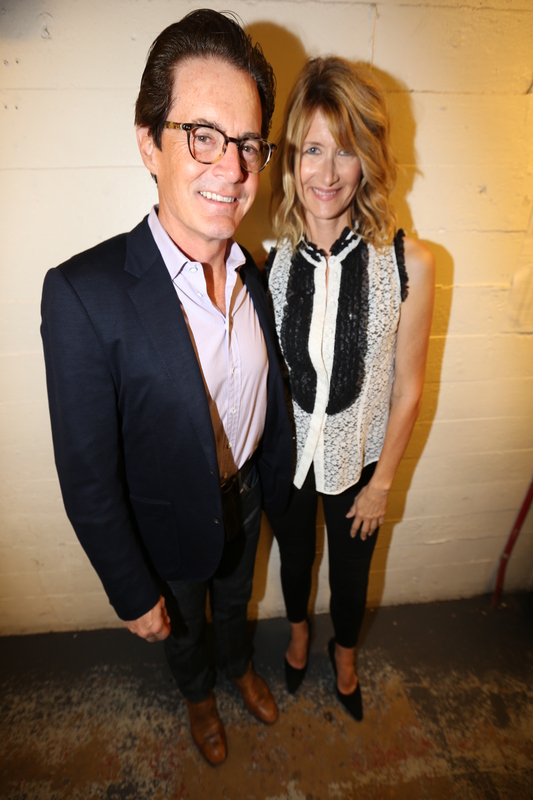 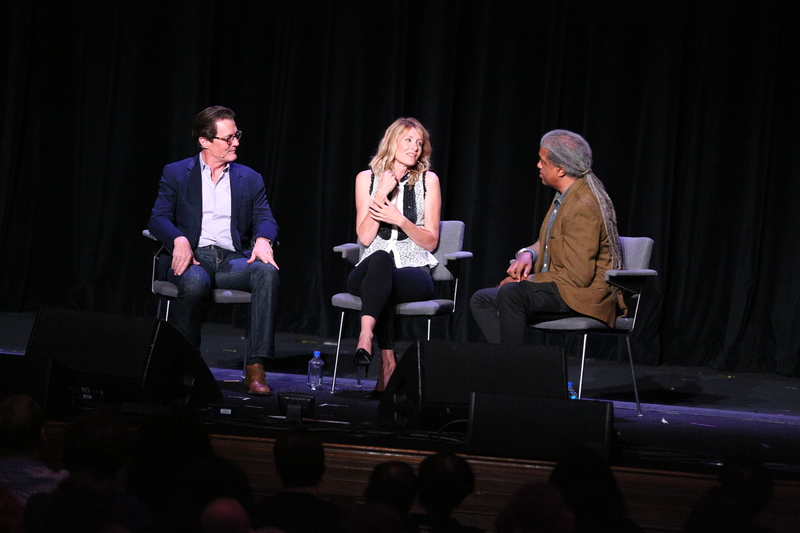 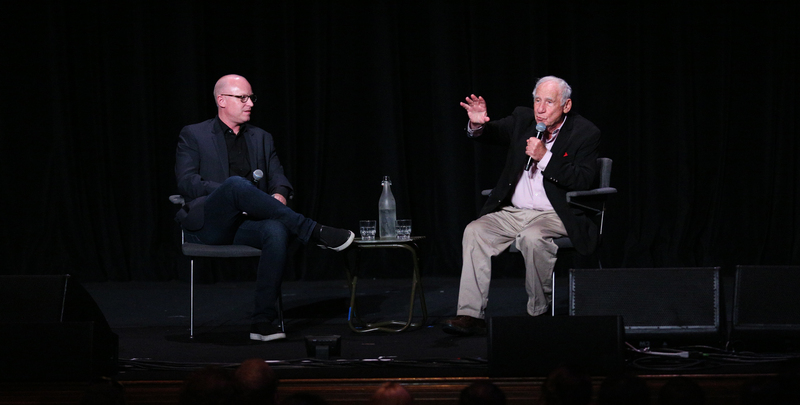 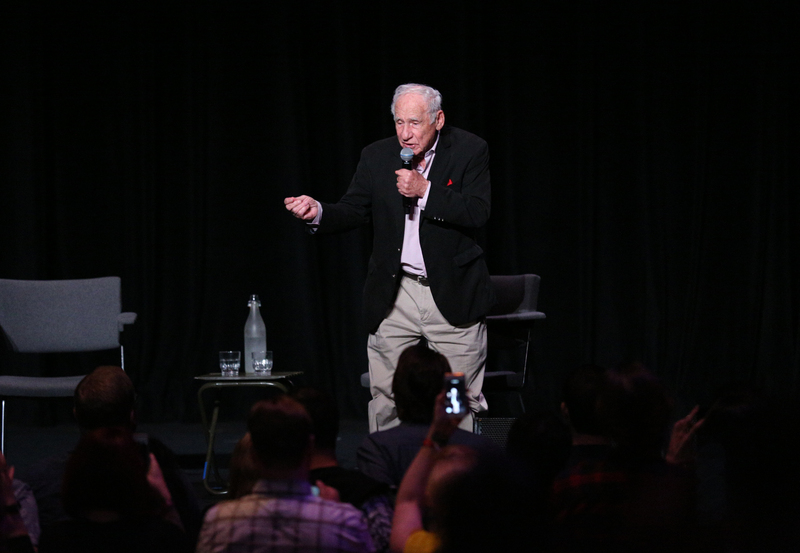 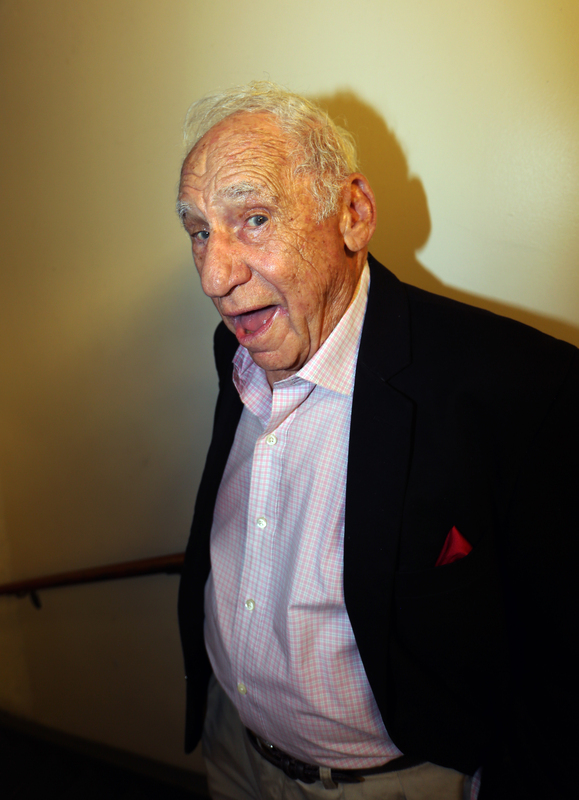 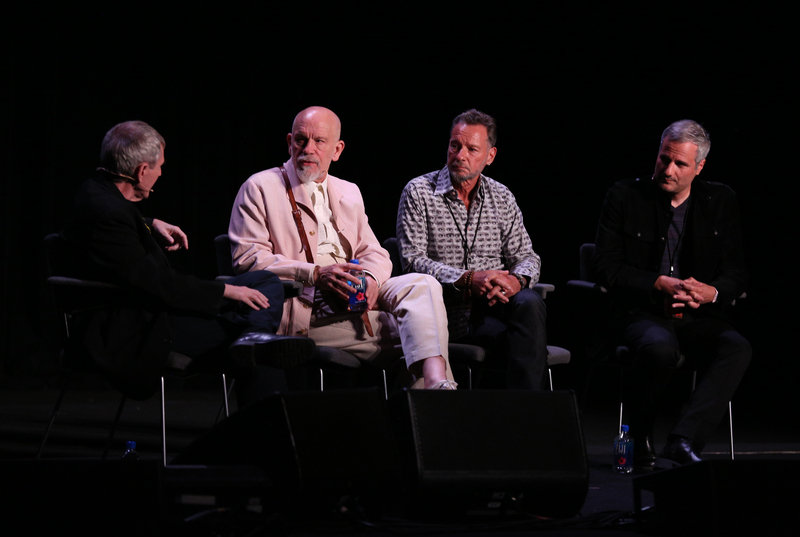 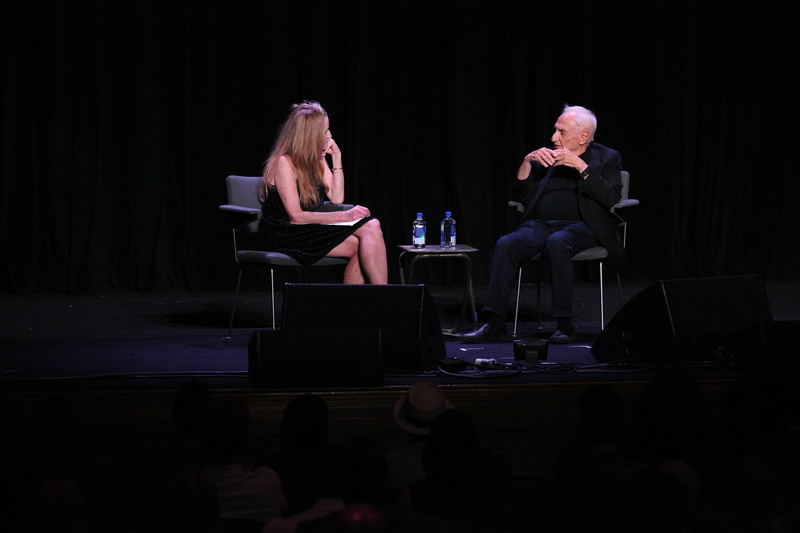 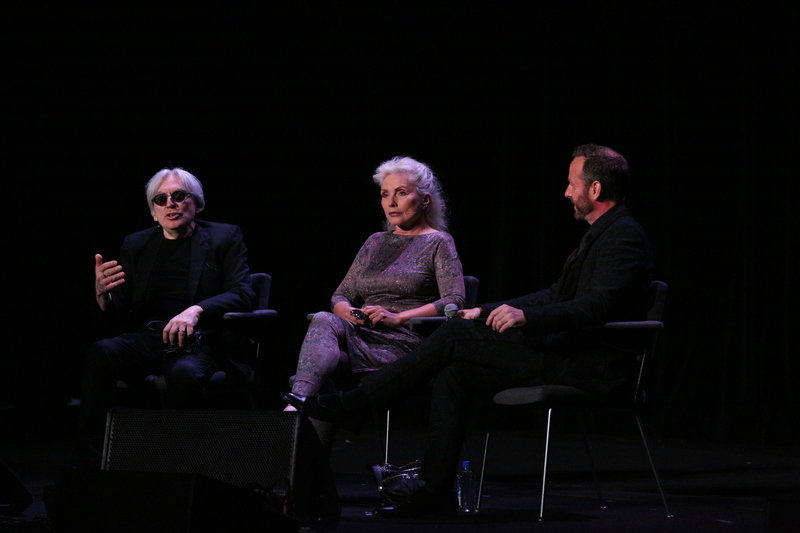 Participants expanded their minds while listening to engaging discussions by Mel Brooks, John Malkovich, Sandro Miller & Eric Alexandrakis, Kyle MacLachlan & Laura Dern, Blondie’s Debbie Harry & Chris Stein and Frank Gehry. 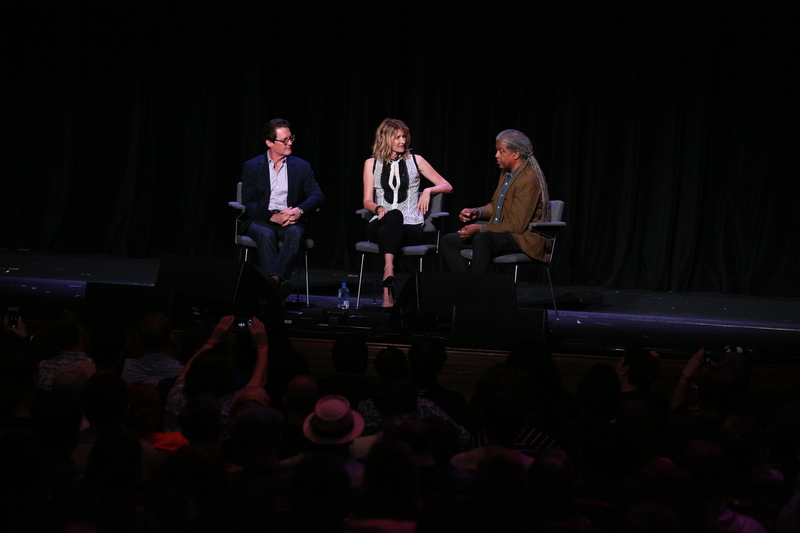 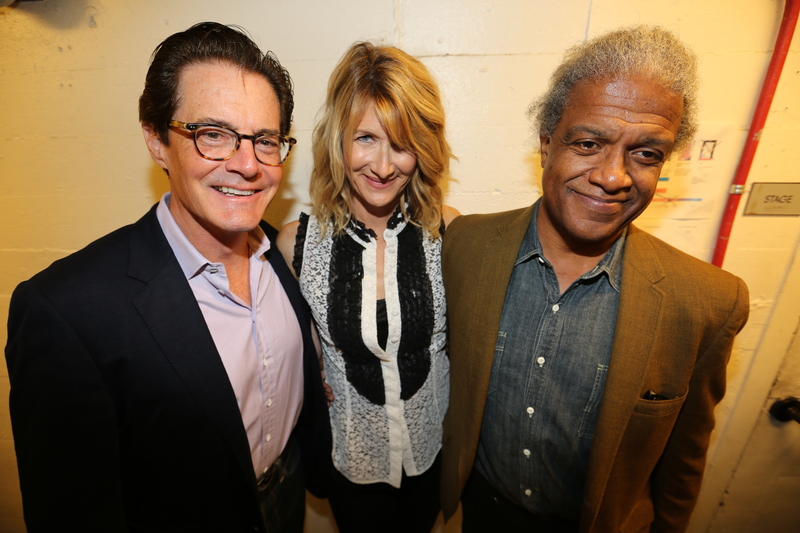 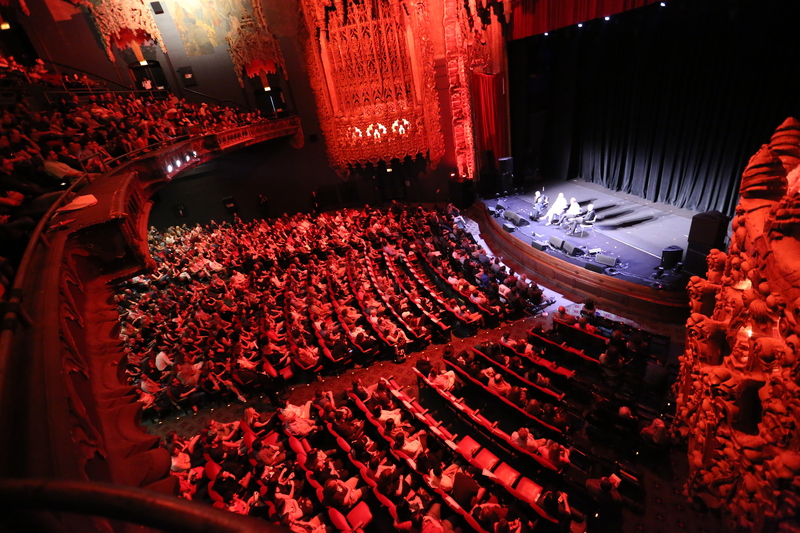 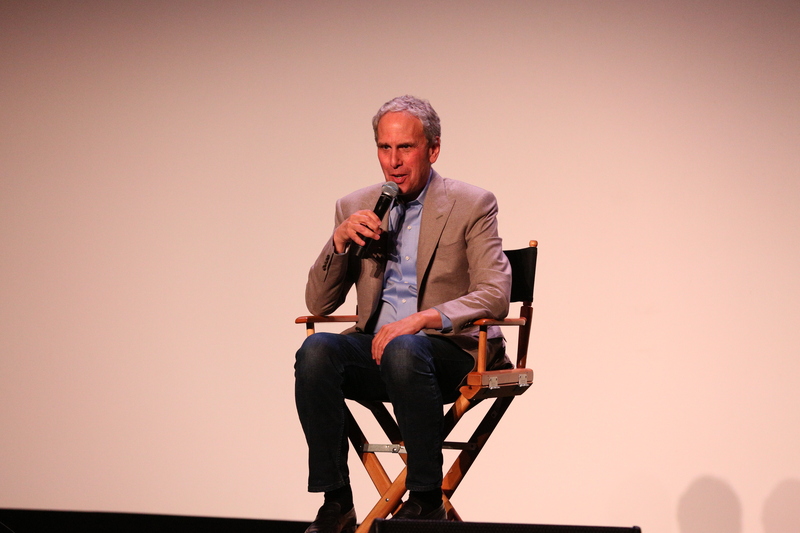 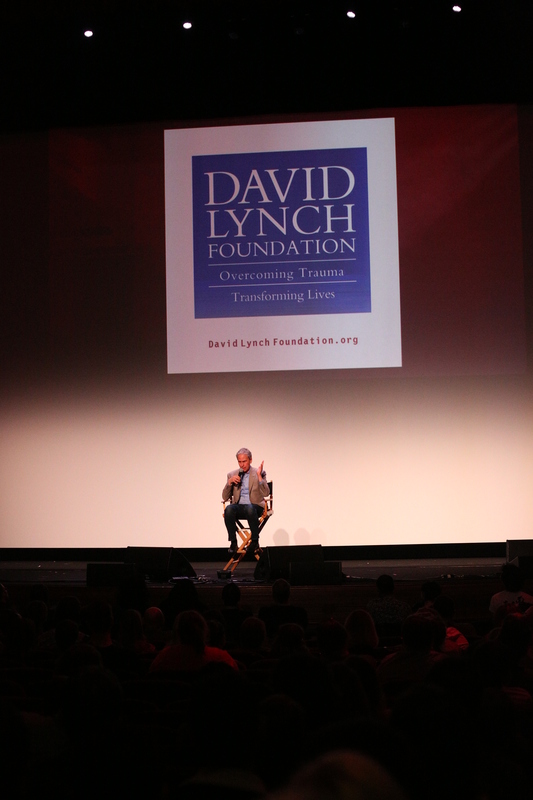 The afternoons also took a Lynchian turn with screenings of Elephant Man and Blue Velvet Revisited, a documentary that looked behind the scenes on the set of the iconic film, while the David Lynch Foundation’s Executive Director Bob Roth took the stage to introduce a packed theater to the benefits of Transcendental Meditation. 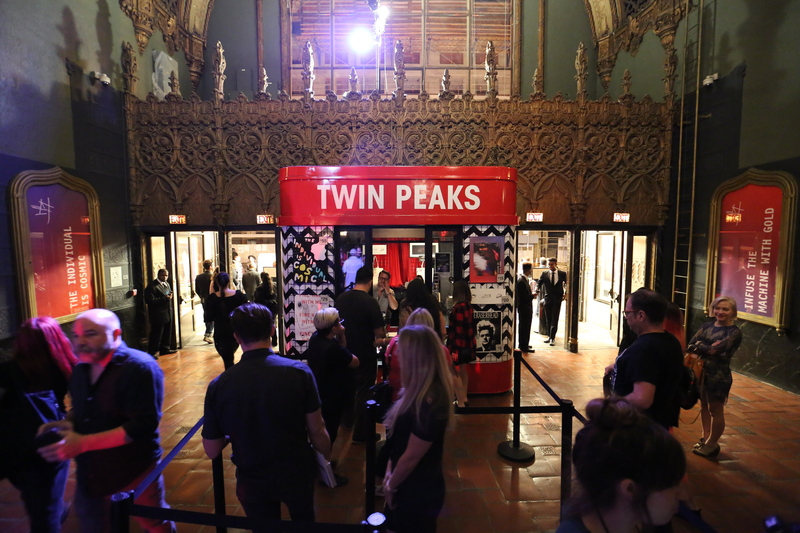 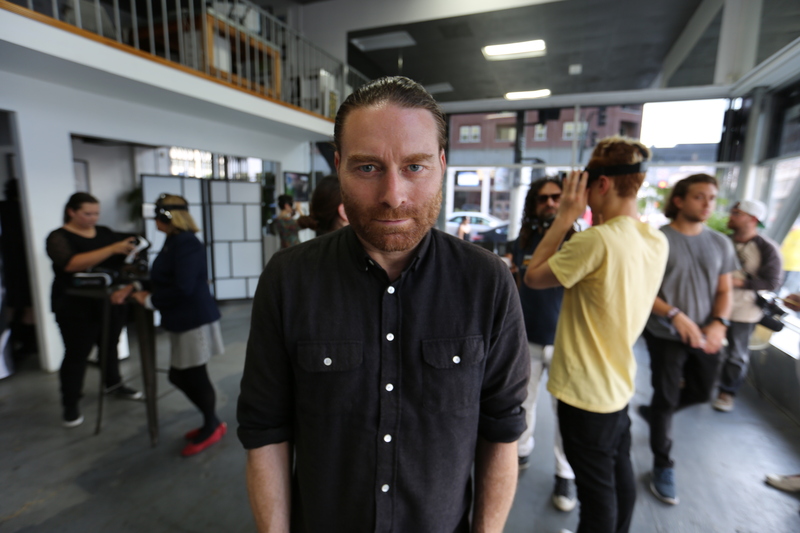 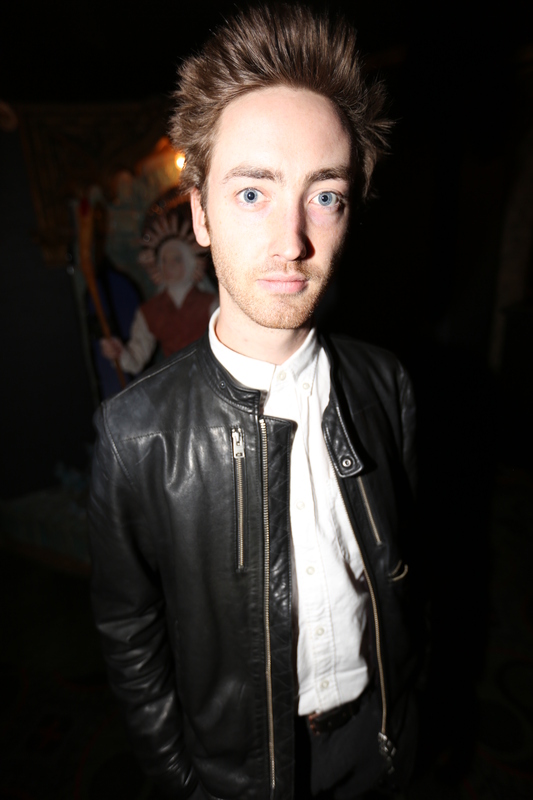 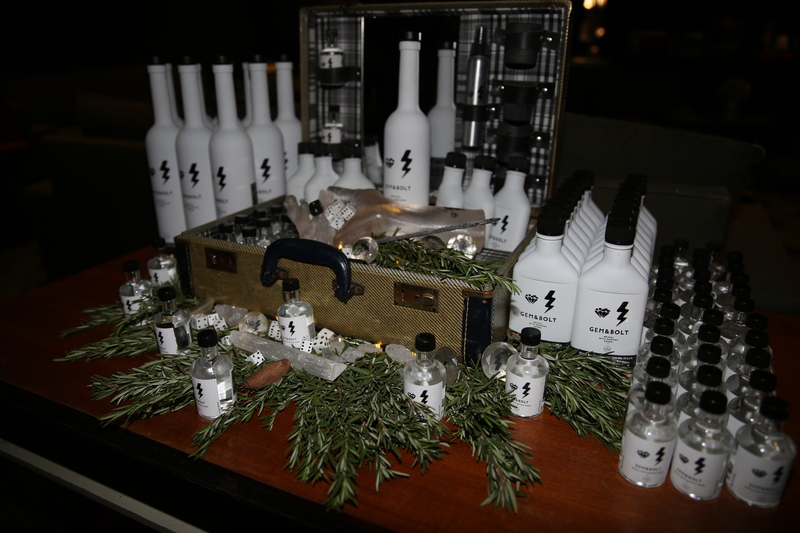 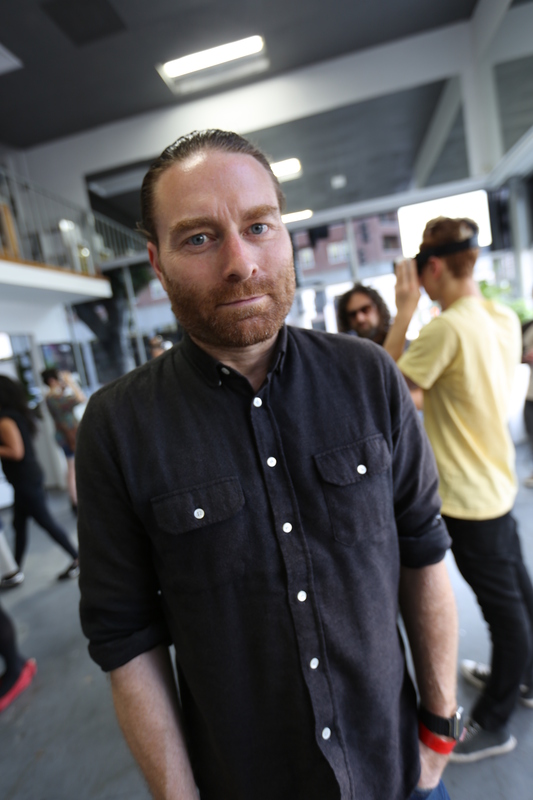 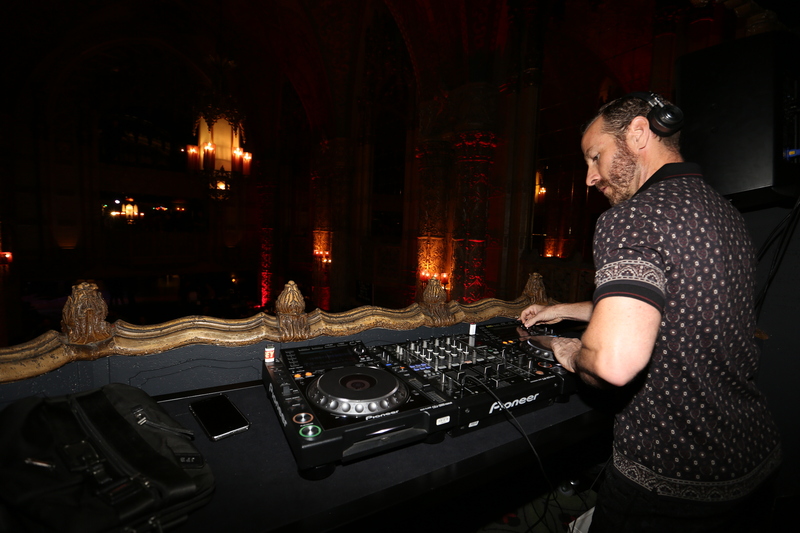 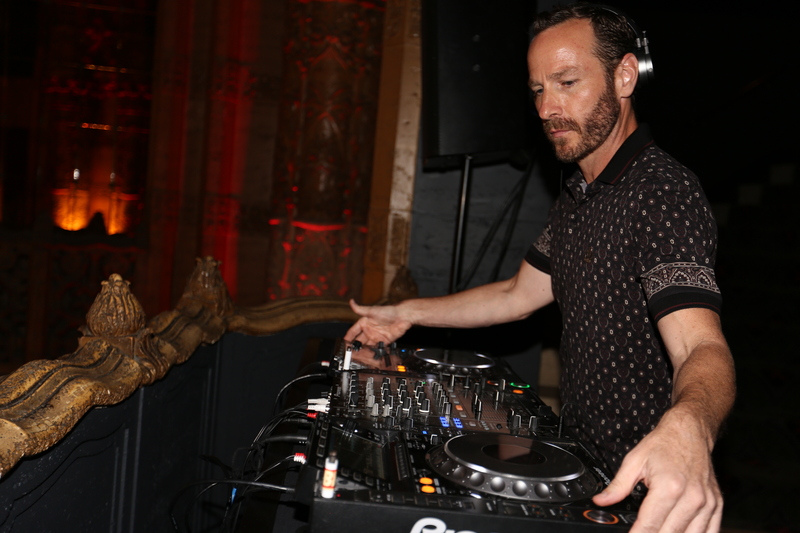 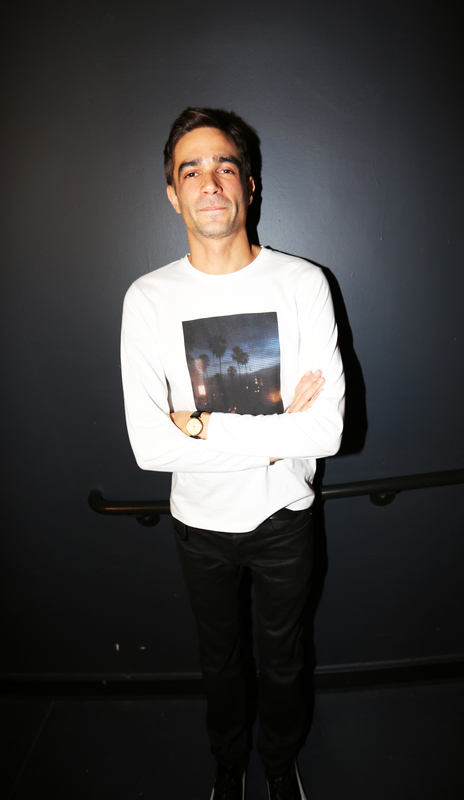 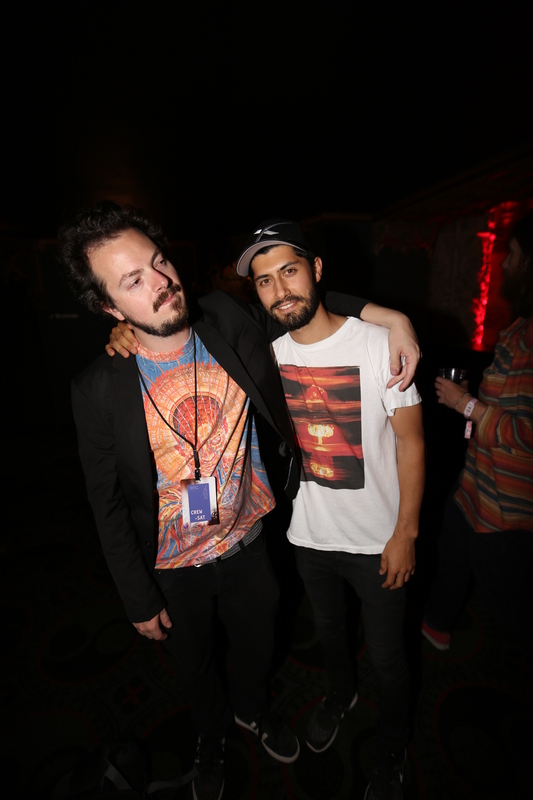 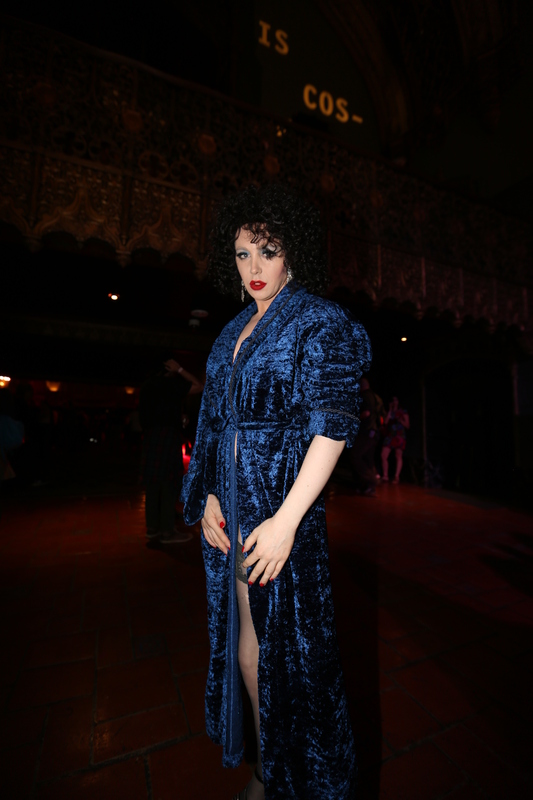 The nights were ushered in with DJ sets from Questlove and KCRW’s Jason Bentley, which had festival-goers dancing in the lobby where hotel concessions served miniature cherry pies and cups of David Lynch signature coffee. 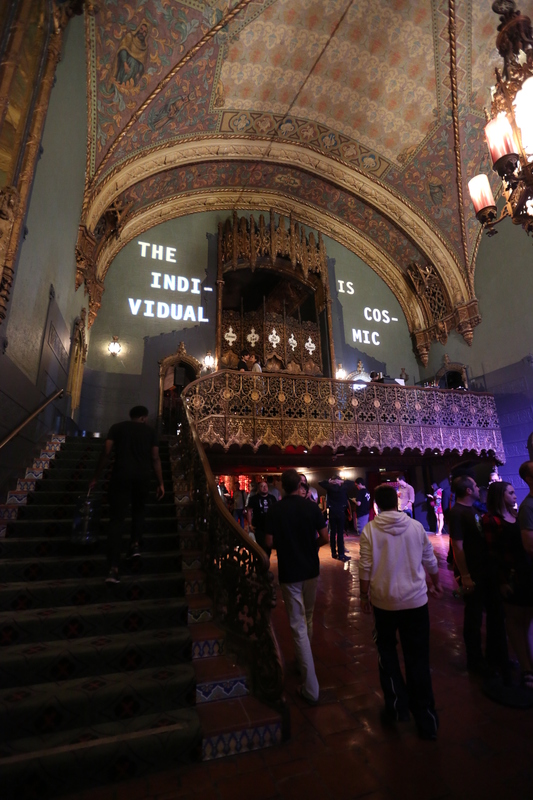 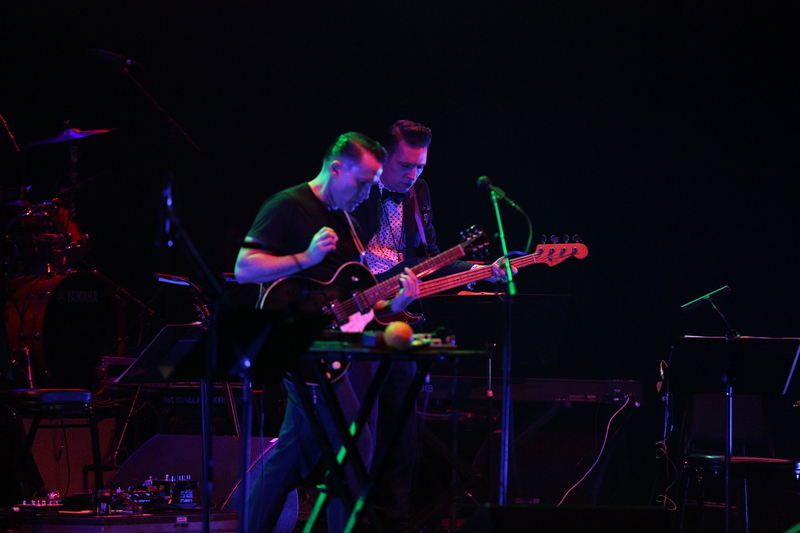 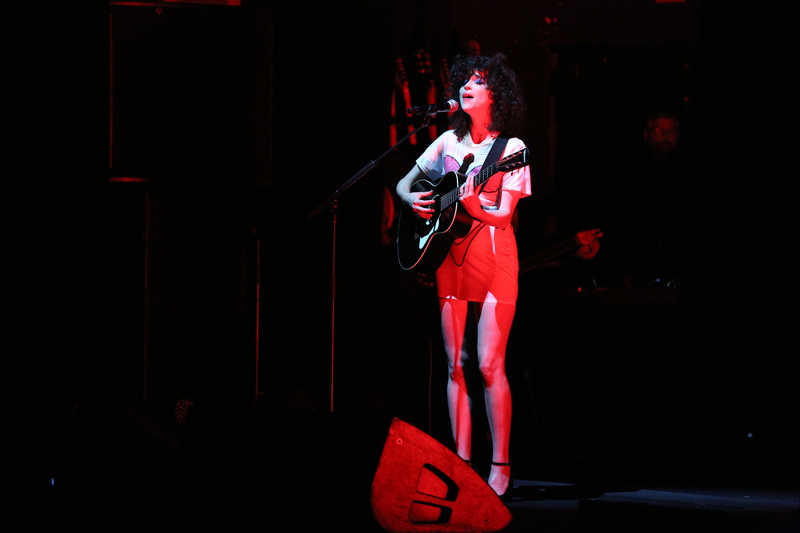 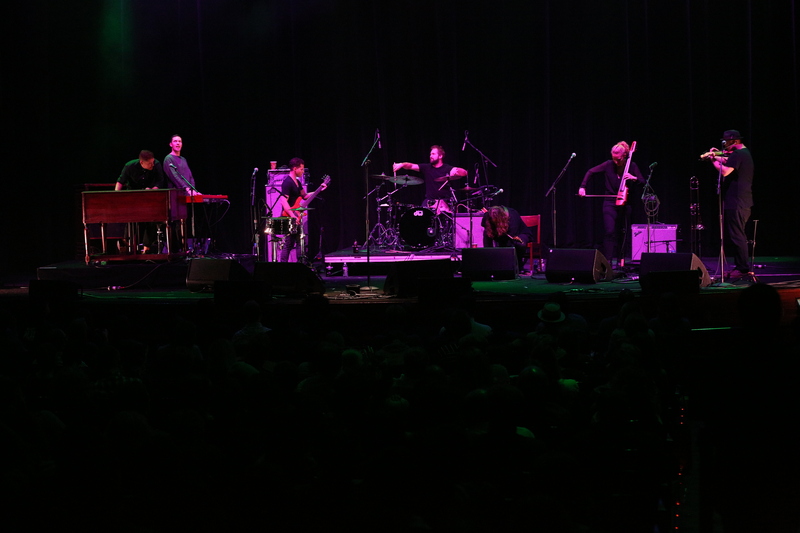 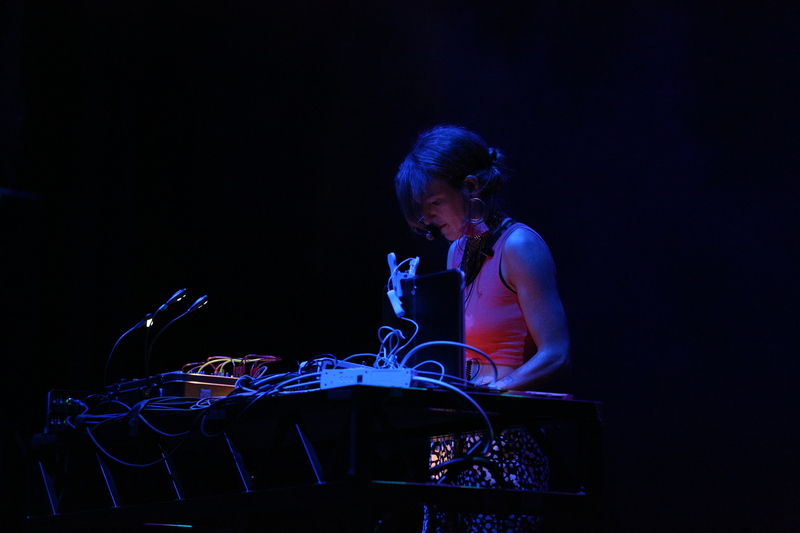 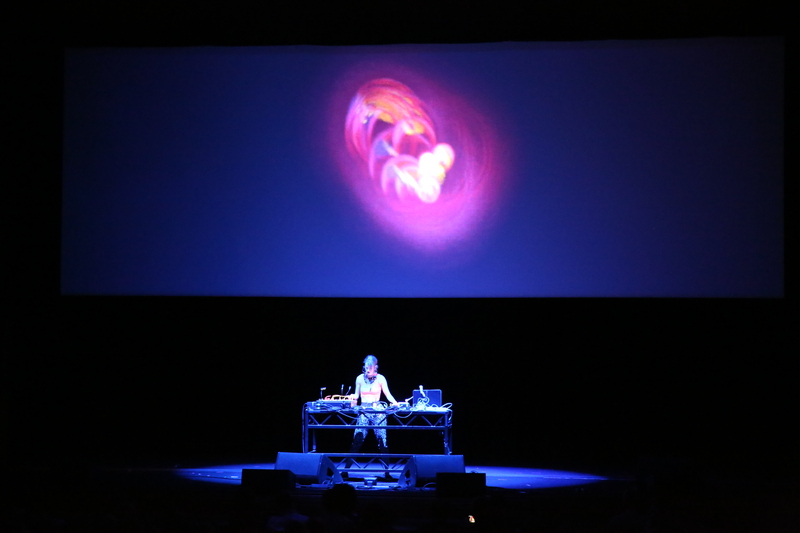 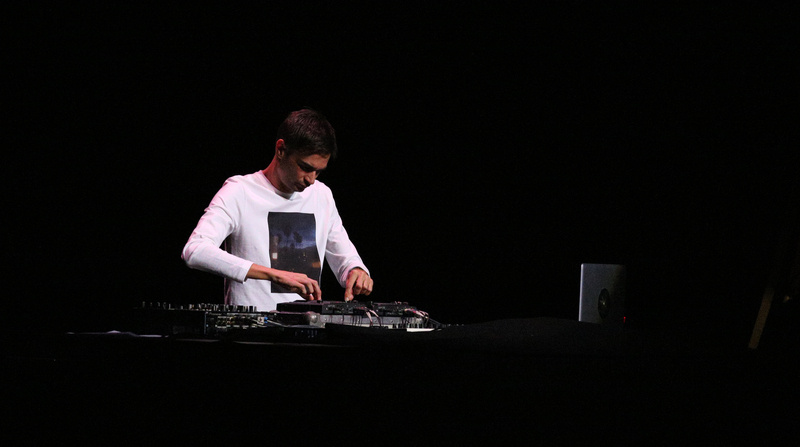 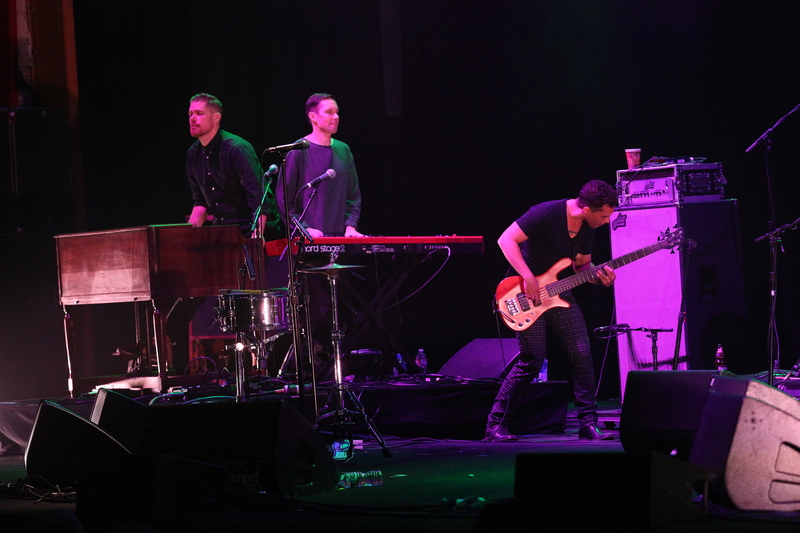 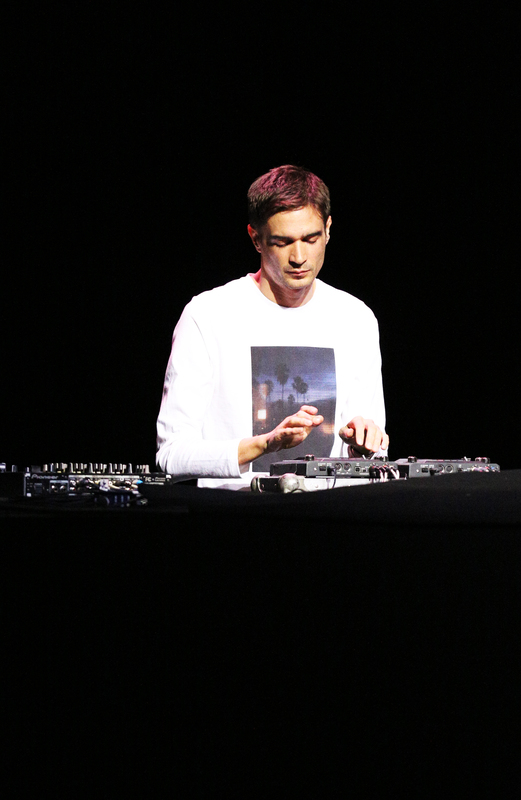 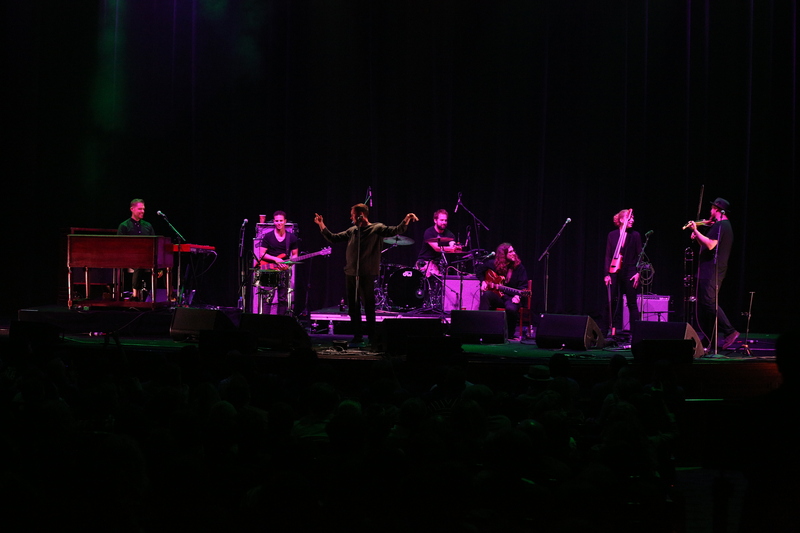 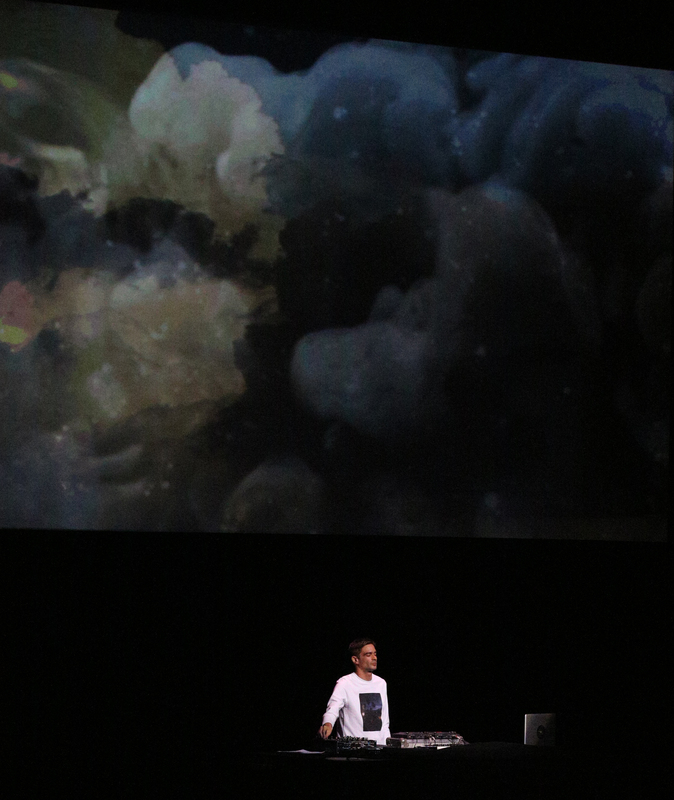 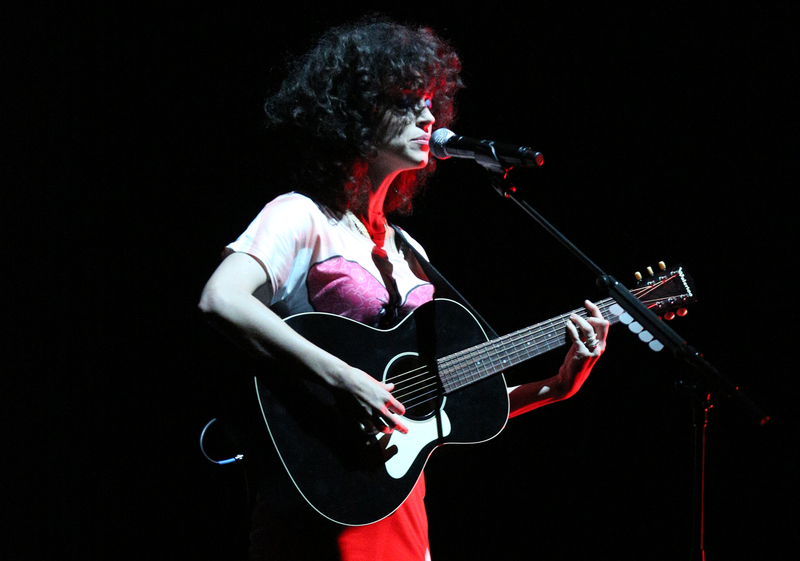 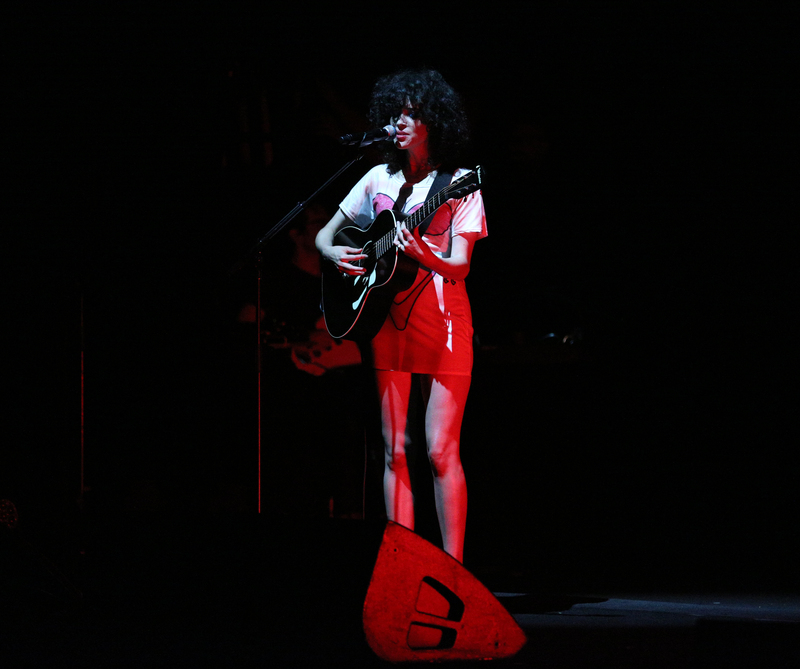 Inside the Theatre, Jon Hopkins, St. Vincent, Robert Plant & the Sensational Space Shifters, Kaitlyn Aurelia Smith and Rhye dazzled them with eclectic, genre-crossing performances. 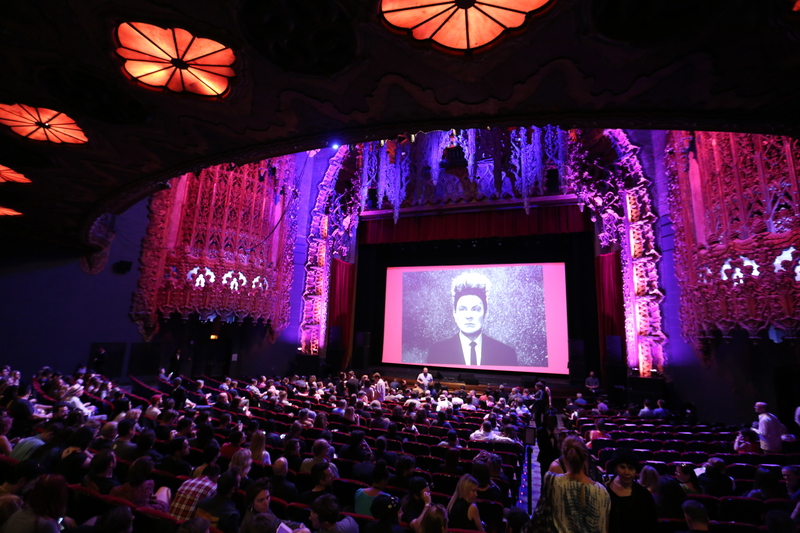 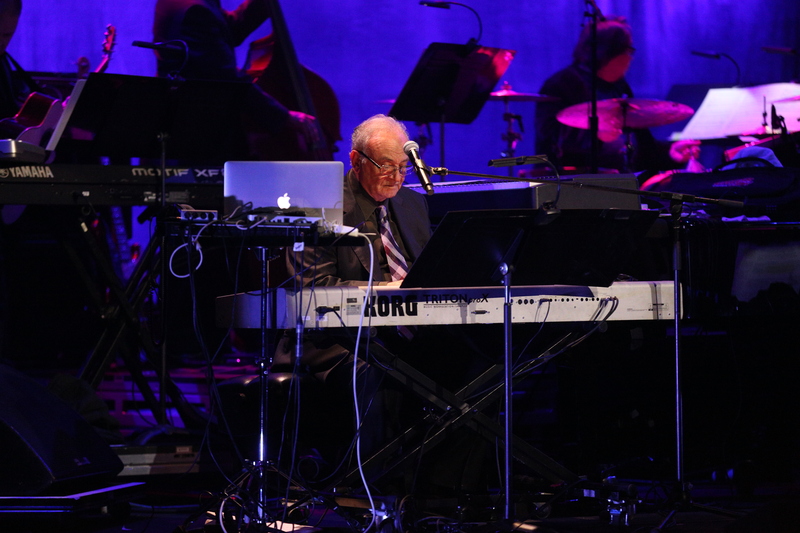 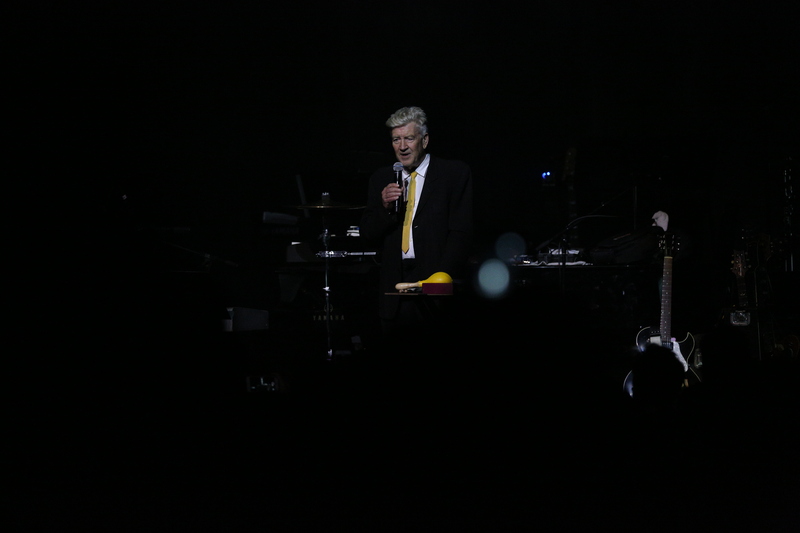 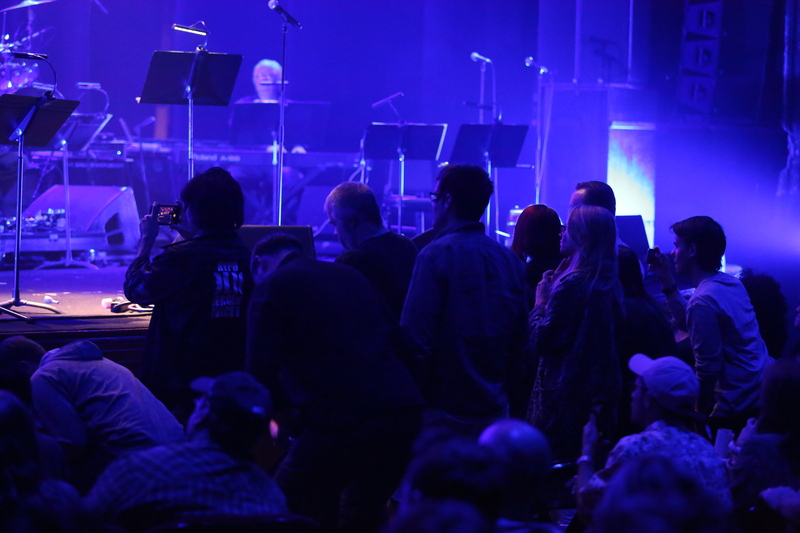 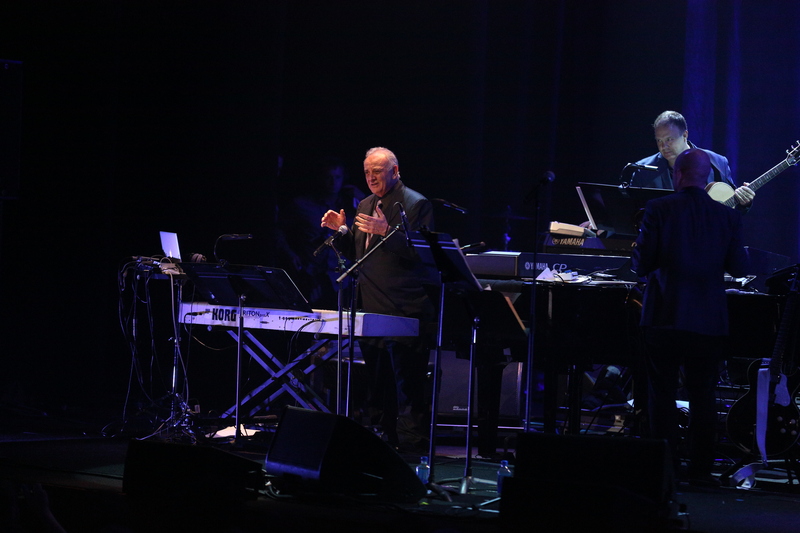 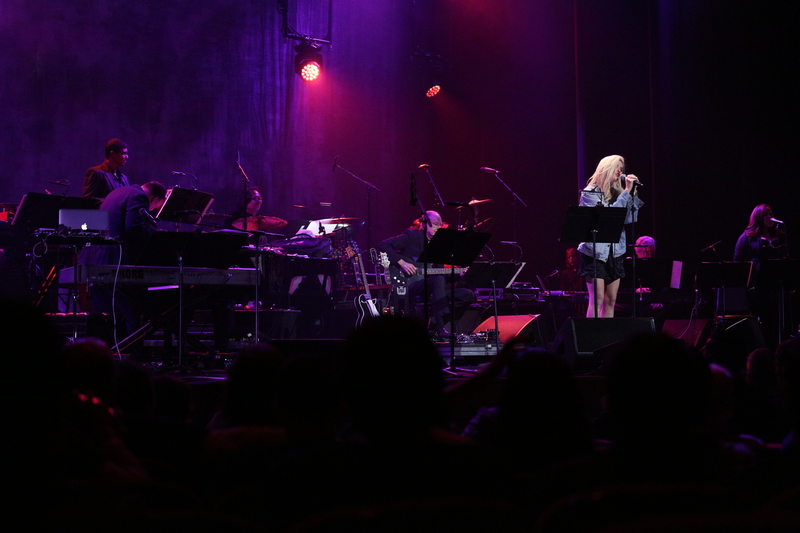 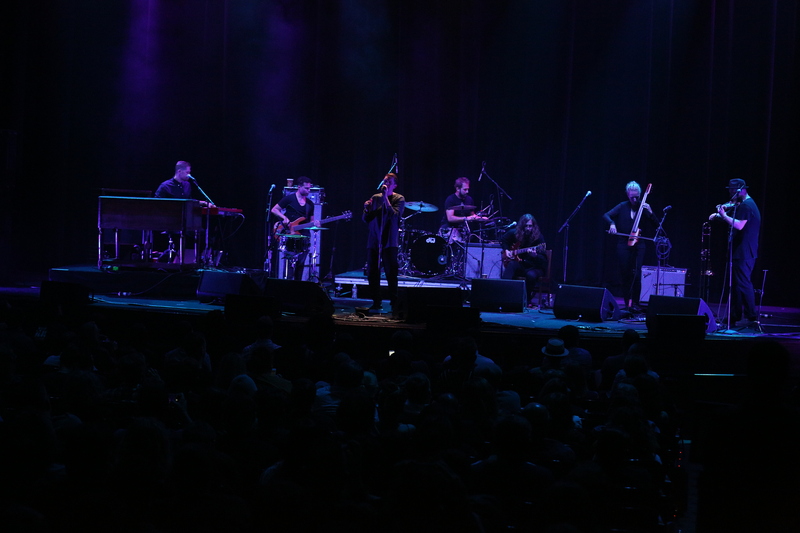 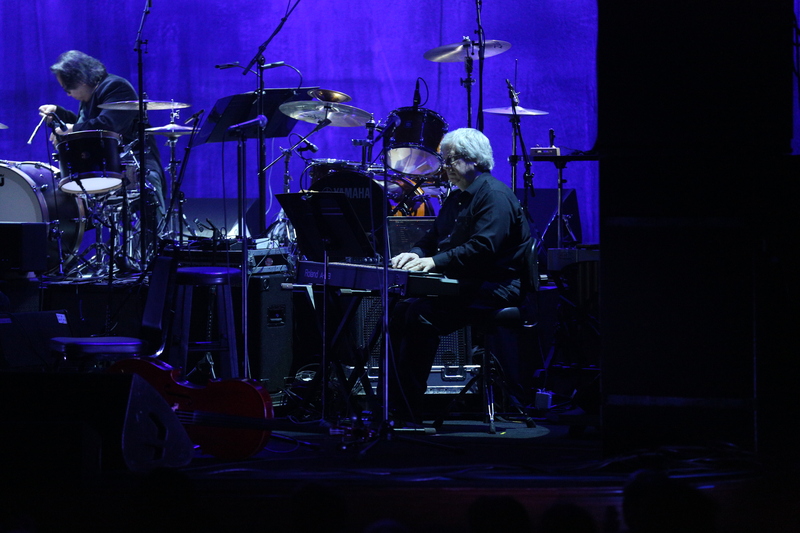 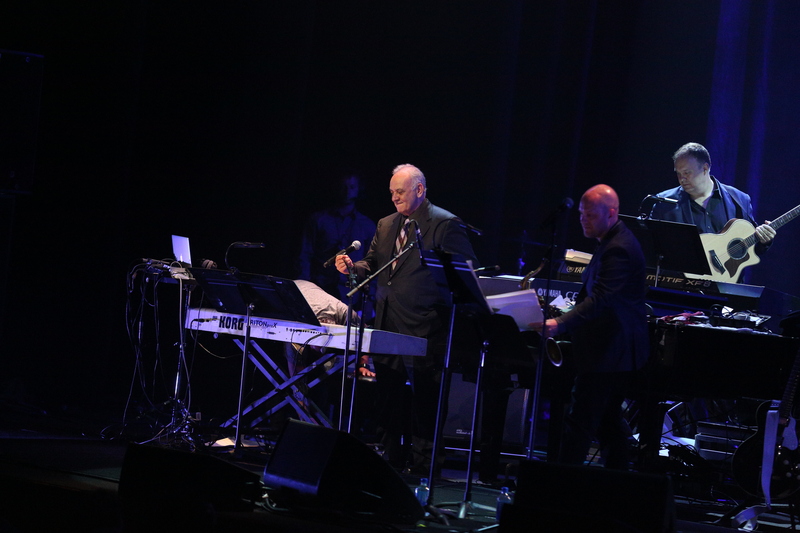 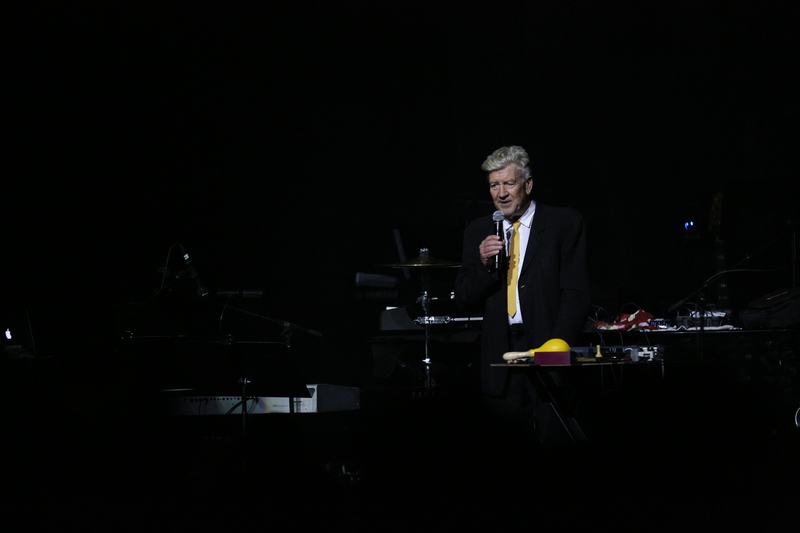 The festival ended with David Lynch himself introducing The Music of Twin Peaks, a one-time special collaboration between Angelo Badalamenti, Sky Ferreira, Xiu Xiu, Chrysta Bell and Rebekah Del Rio celebrating essential songs from Twin Peaks, Mulholland Drive and The Straight Story paired with the world premiere of new choreography from Ryan Heffington. 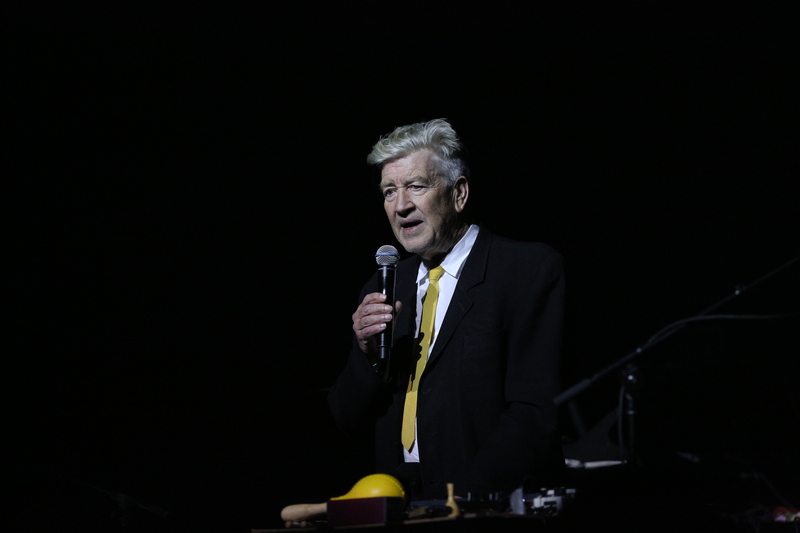 The Music of David Lynch,a tribute to the iconic filmmaker’s works featuring performances by Duran Duran,Karen O, Jim James, Lykke Li, Wayne Coyne and Steven Drozd of The Flaming Lips, Sky Ferreira, Zola Jesus and more, is now available for digital download for the first time, hosted by Squarespace on PlayingLynch.com. 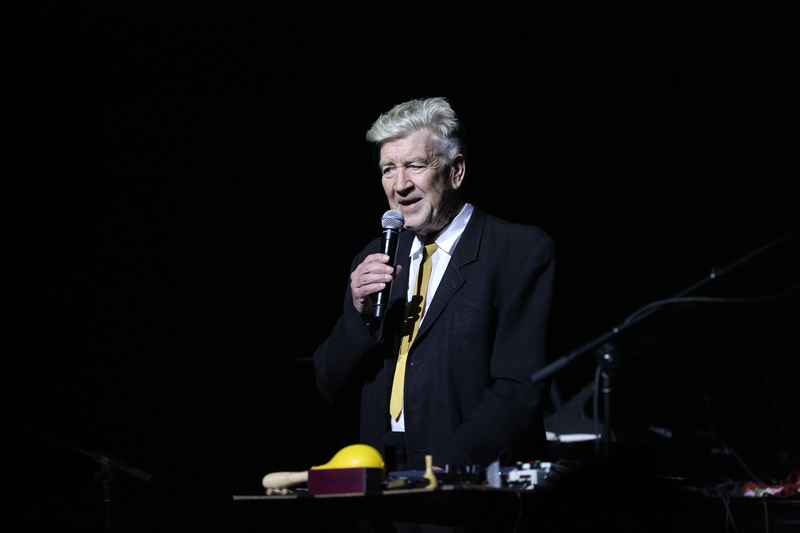 PRESS HERE to purchase the album with your donation to support the David Lynch Foundation. 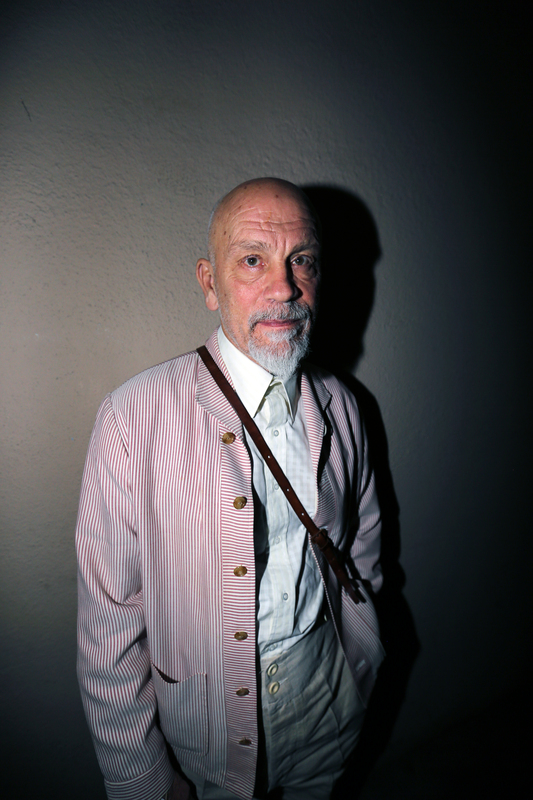 Also via PlayingLynch.com, view the video series featuring John Malkovich as iconic characters from David Lynch’s films. 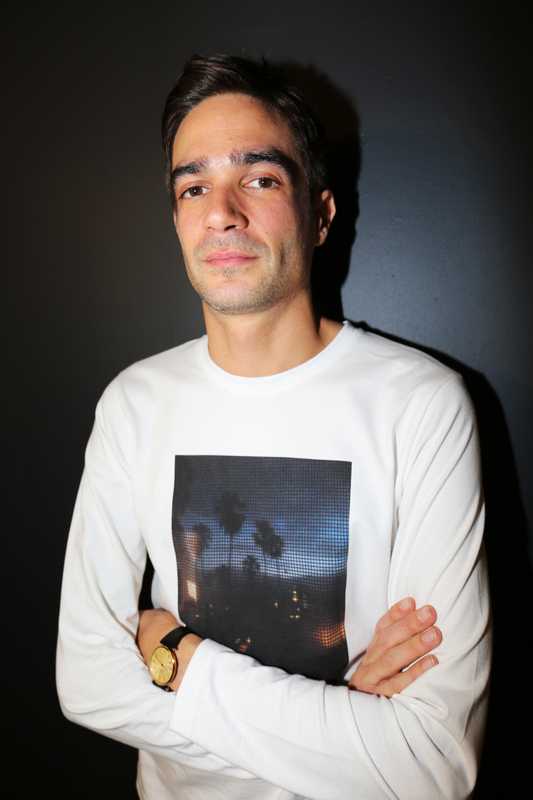 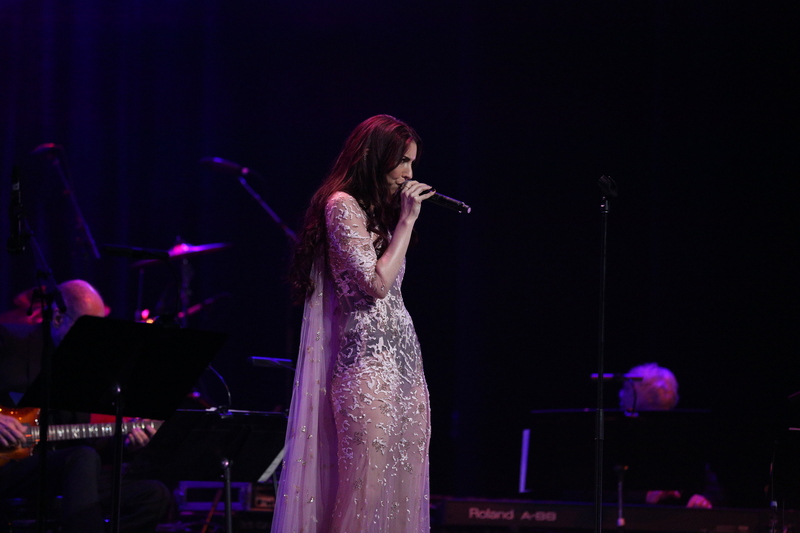 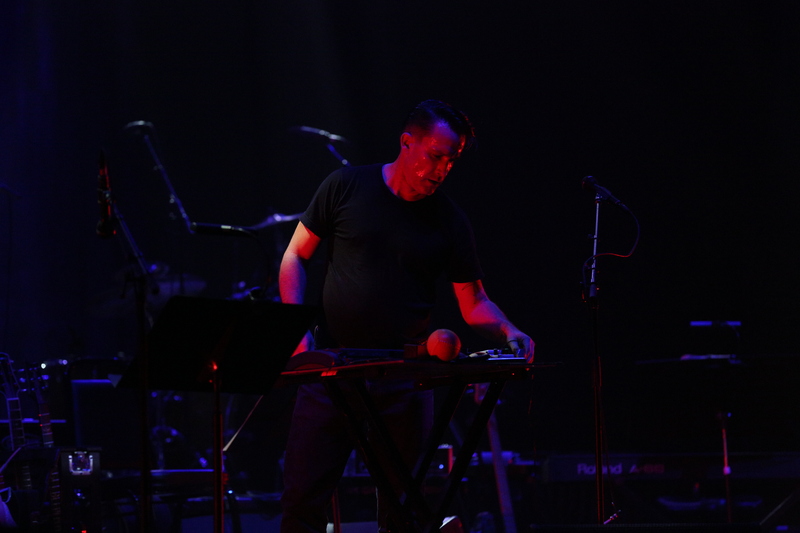 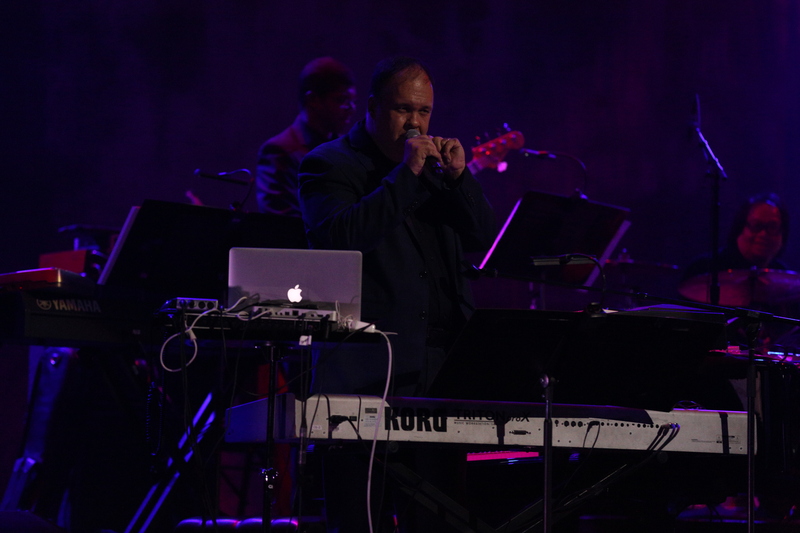 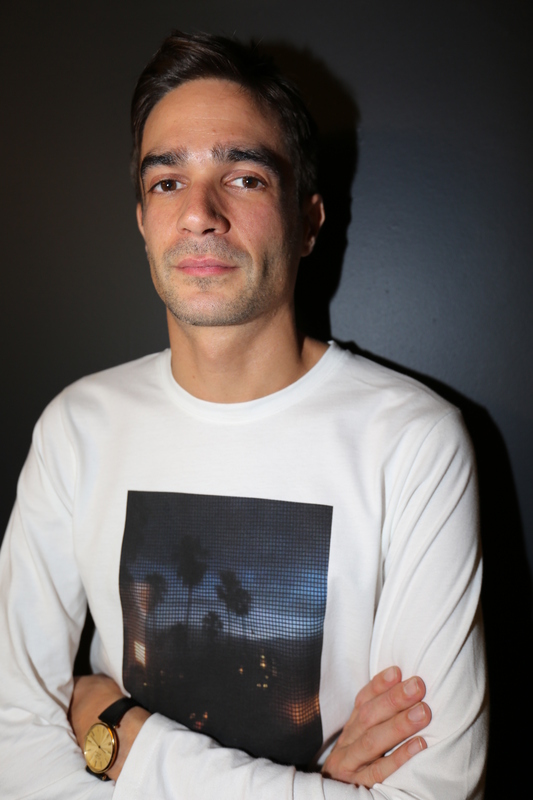 The series features music led by Eric Alexandrakis. 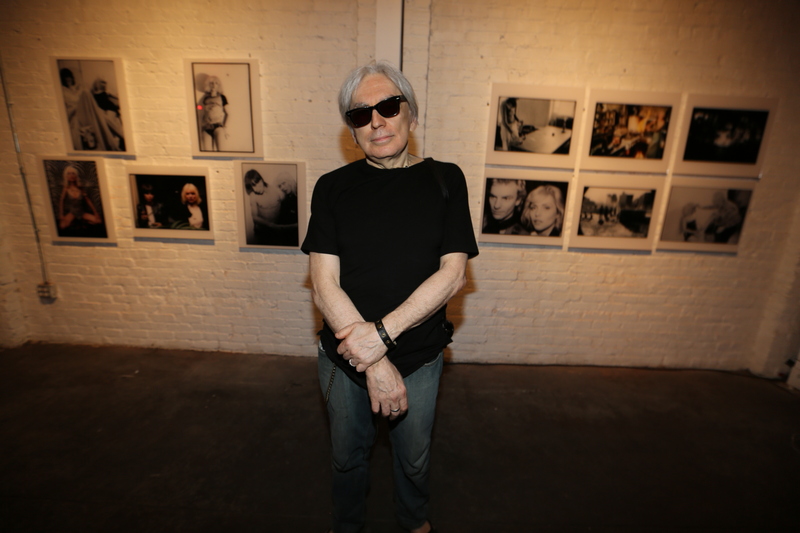 Never-before-seen photos shot by Sandro Miller from the campaign are available to bid on online via Artsy – PRESS HERE to learn more. 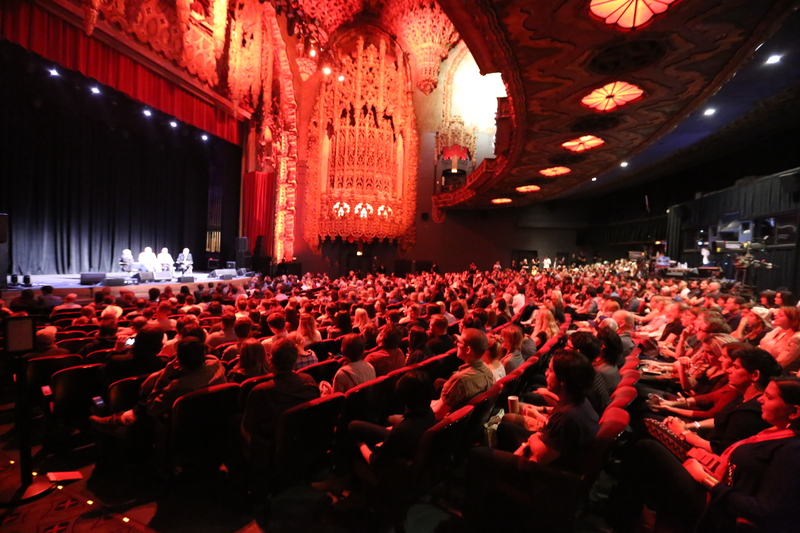 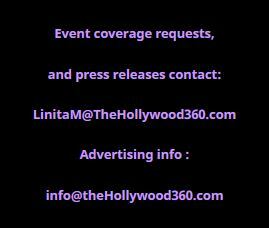 I would have loved to have been in LA for this event! 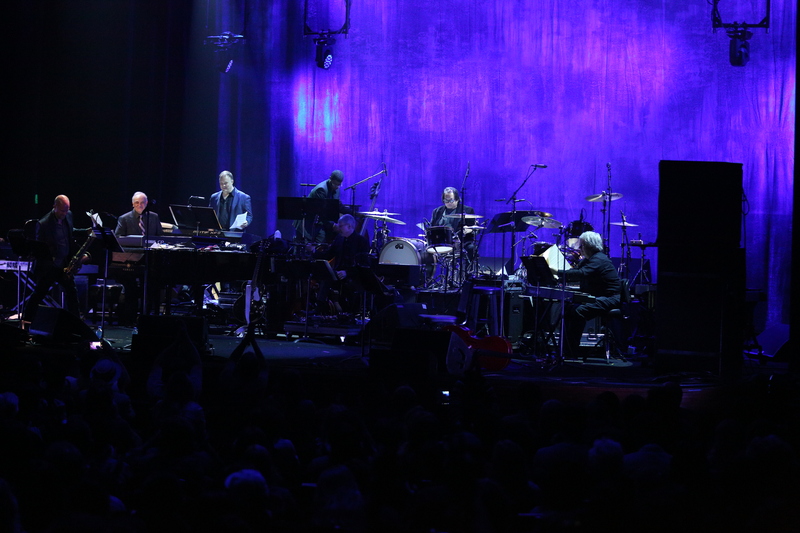 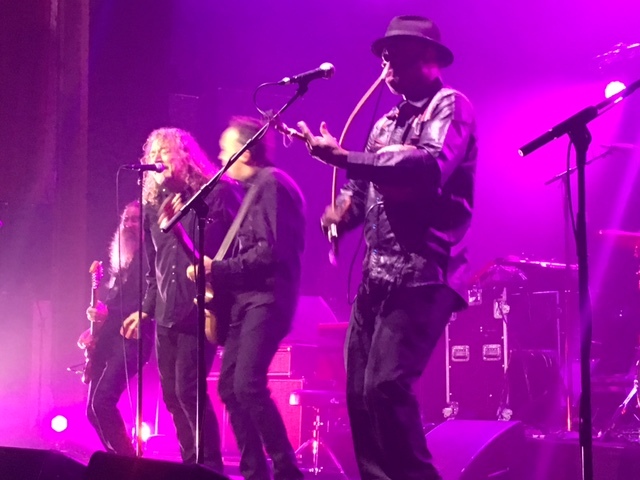 What a lineup and seriously DL is amazing and his Foundation is one of the most revolutionary and transformative humanitarian endeavors of our time. 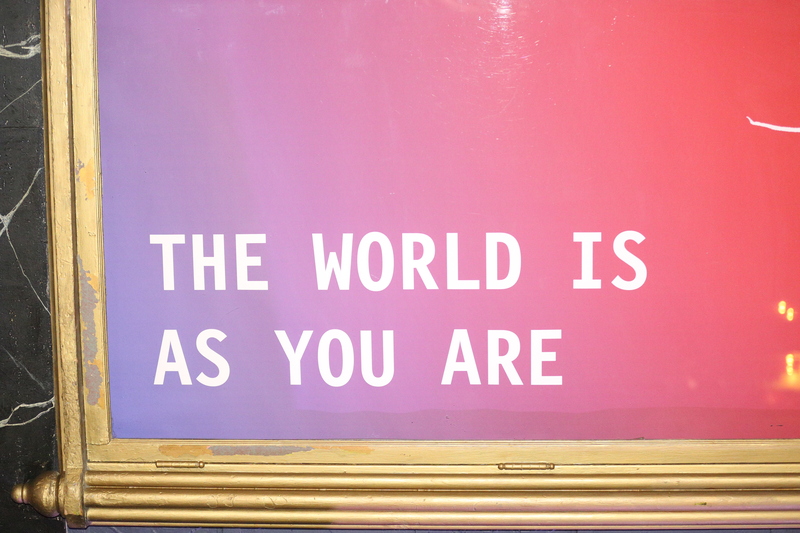 Of course I’m partial as I practice TM and totally know the impact it has had on my life – life changing in the best way possible!